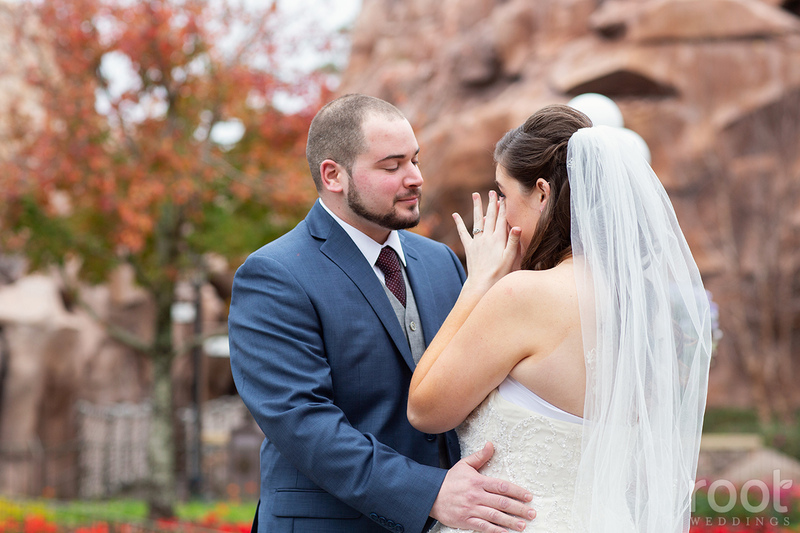 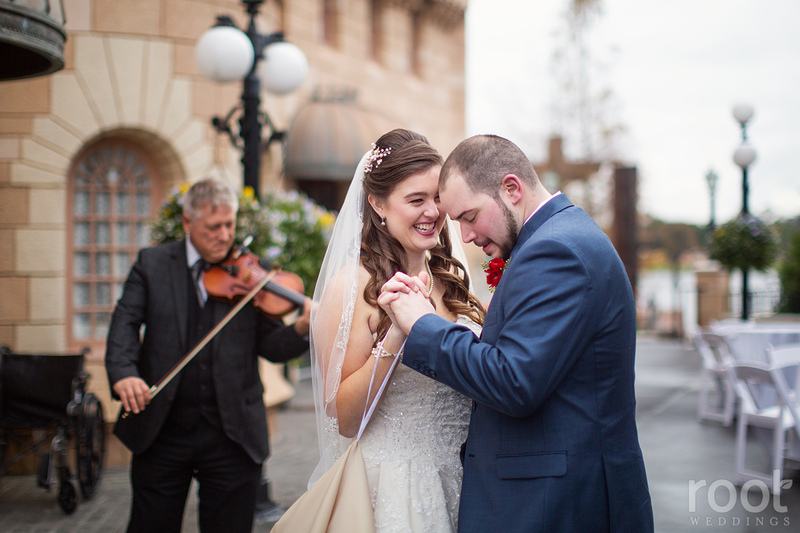 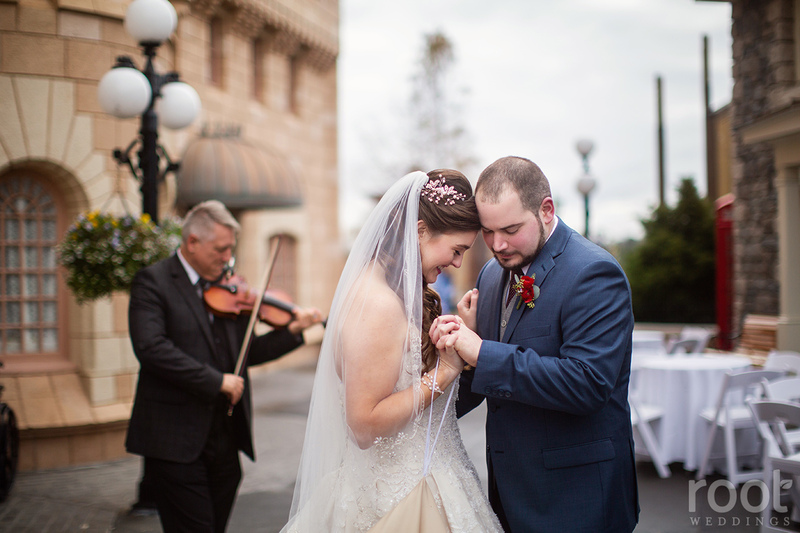 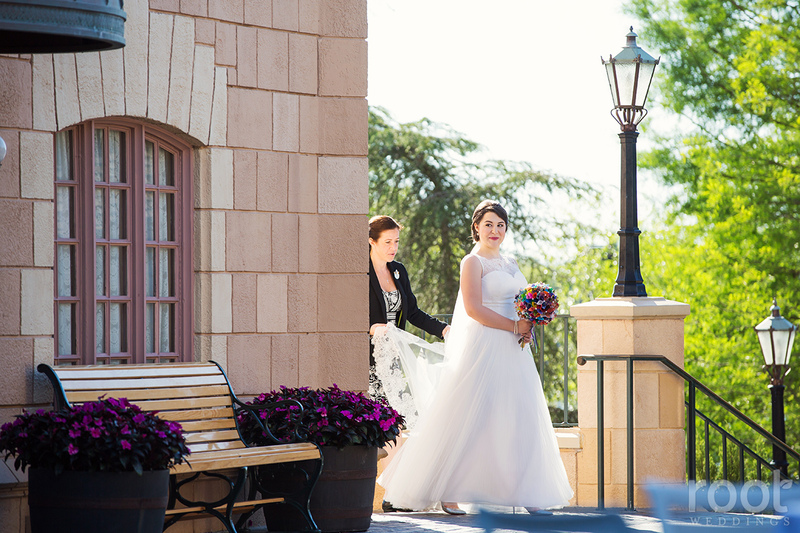 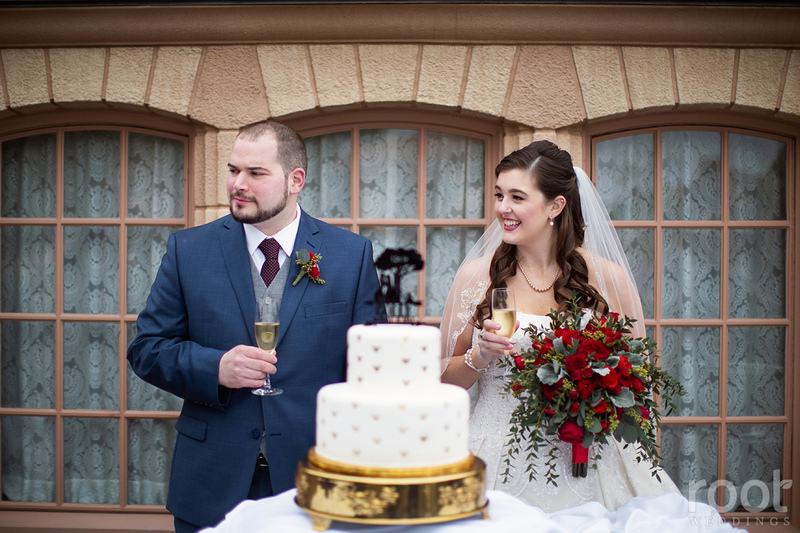 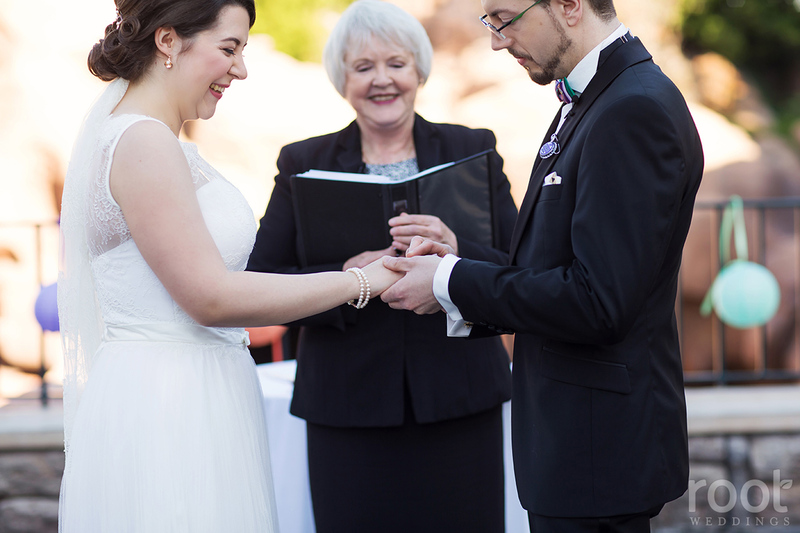 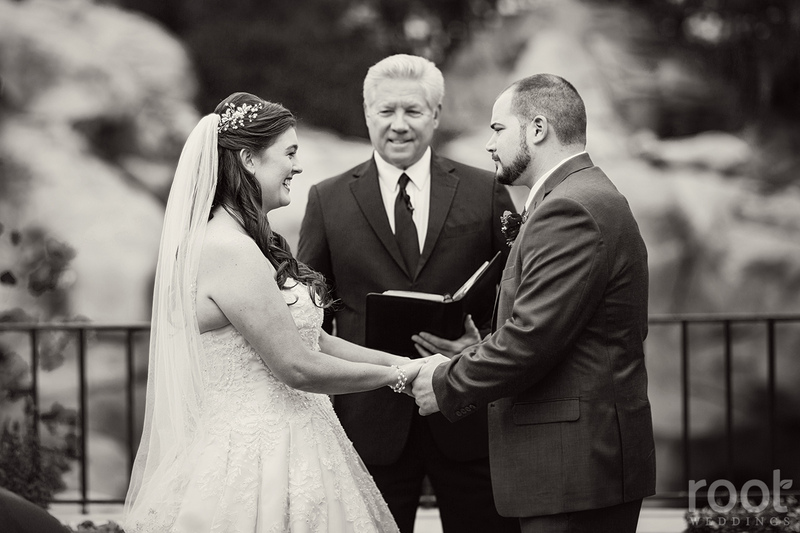 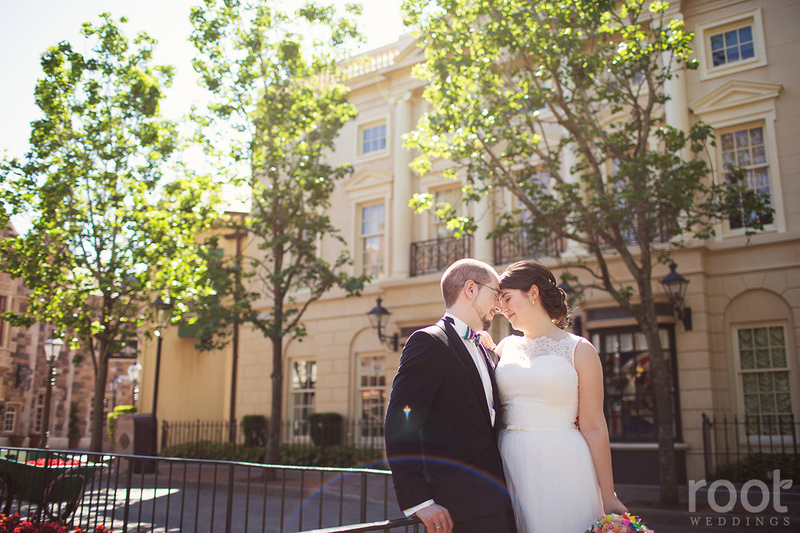 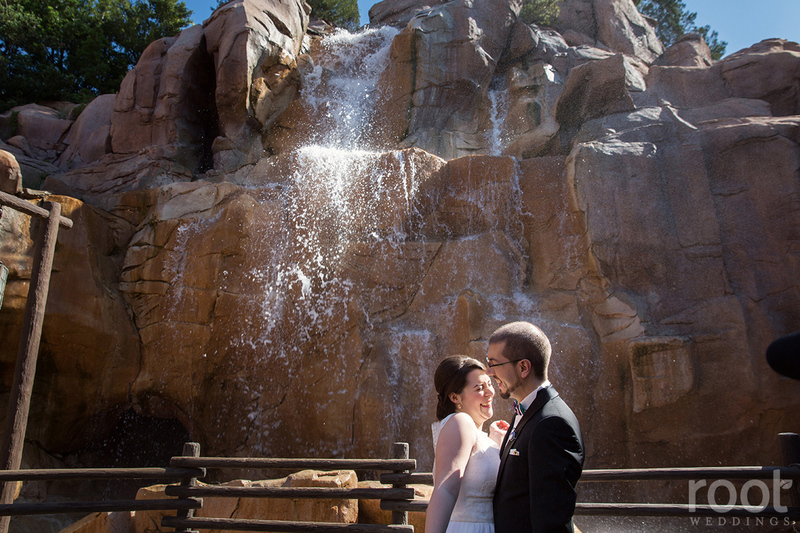 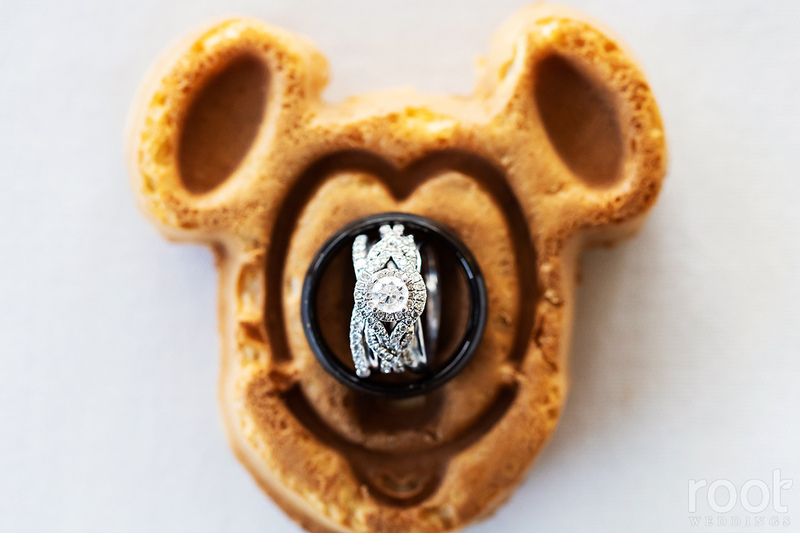 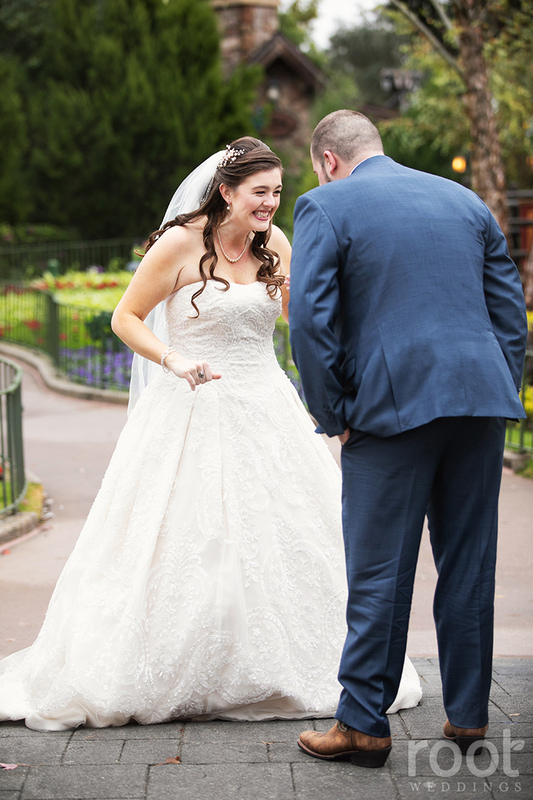 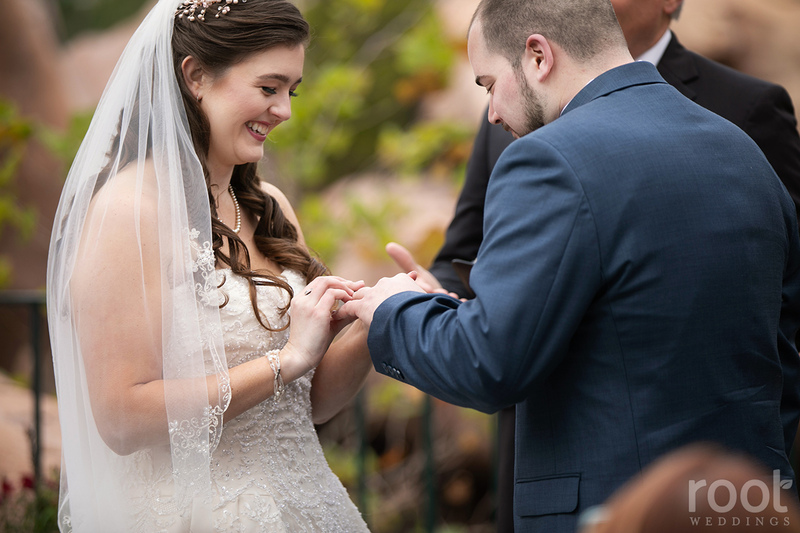 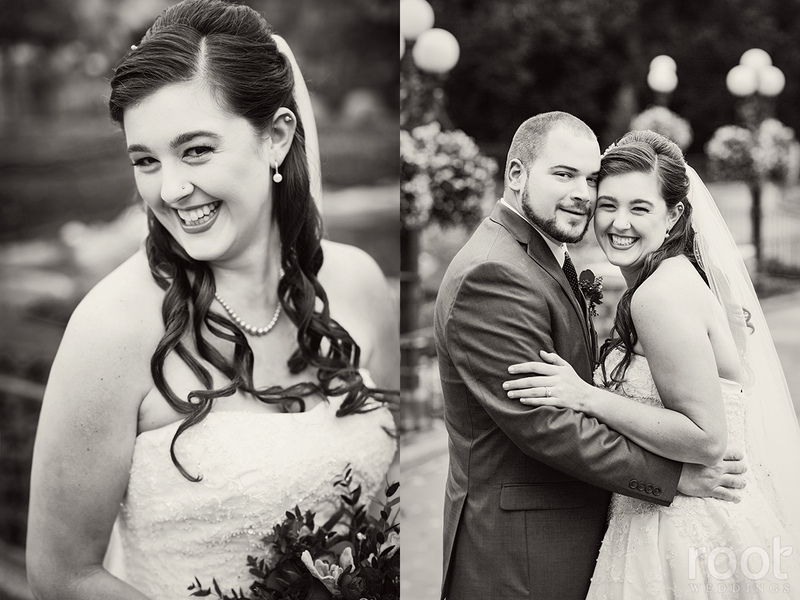 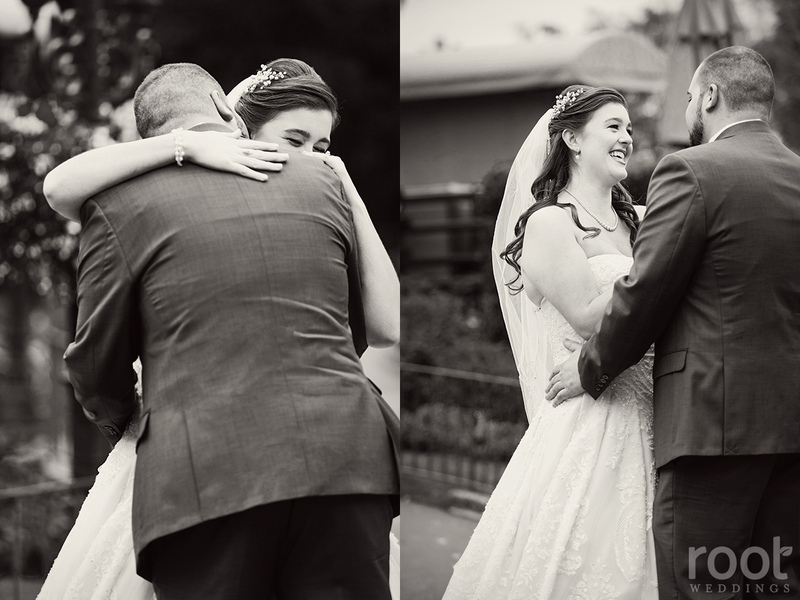 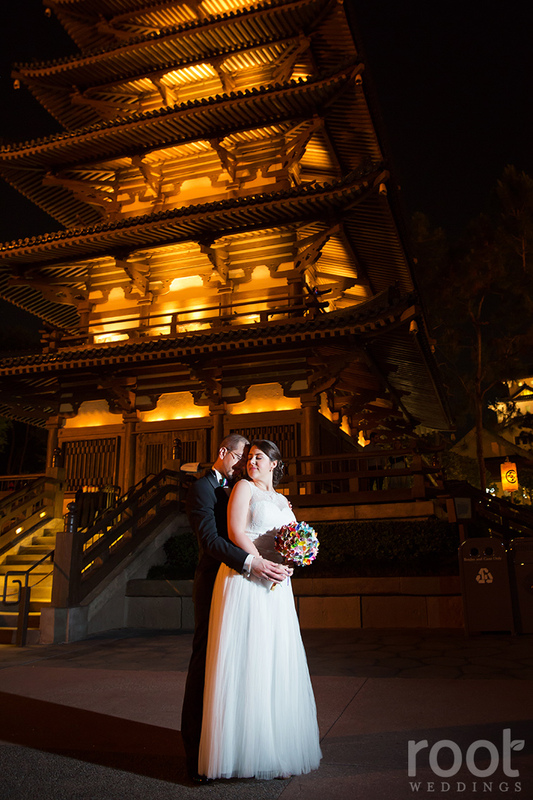 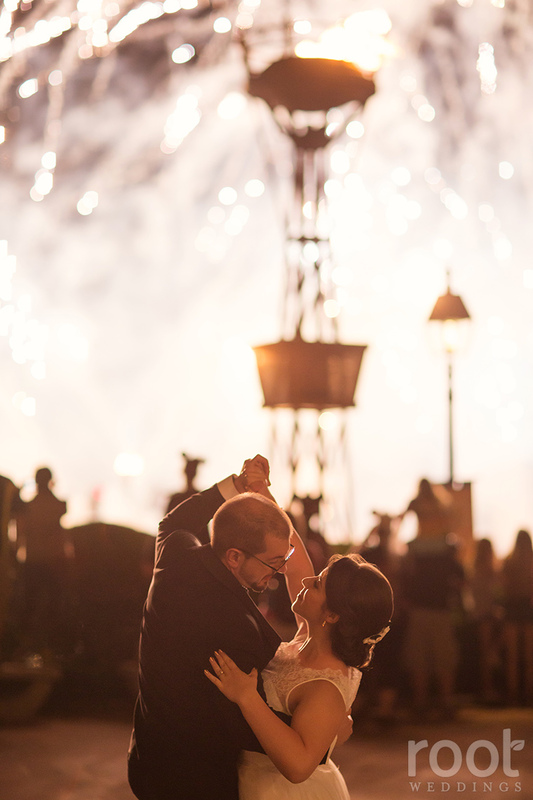 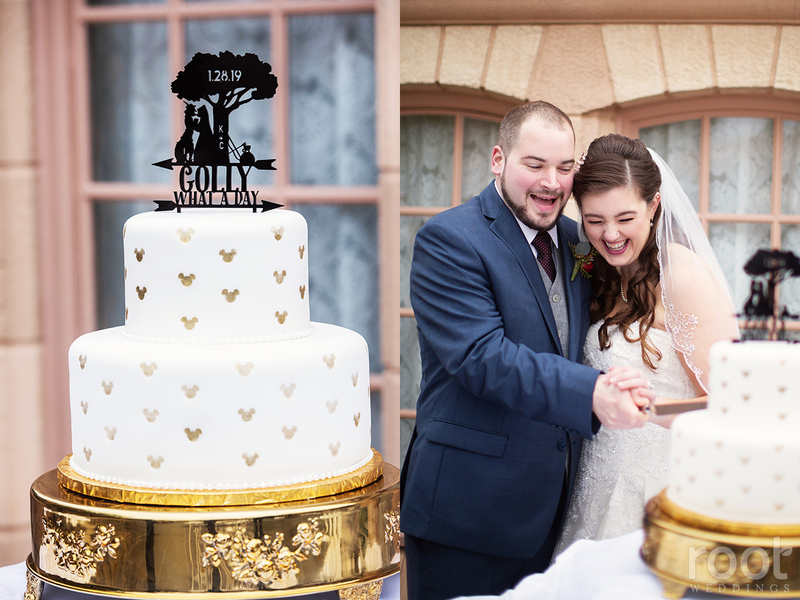 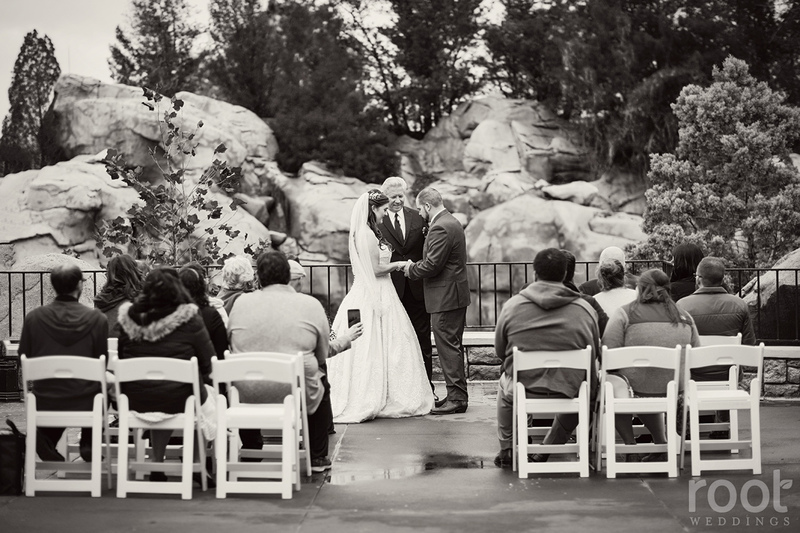 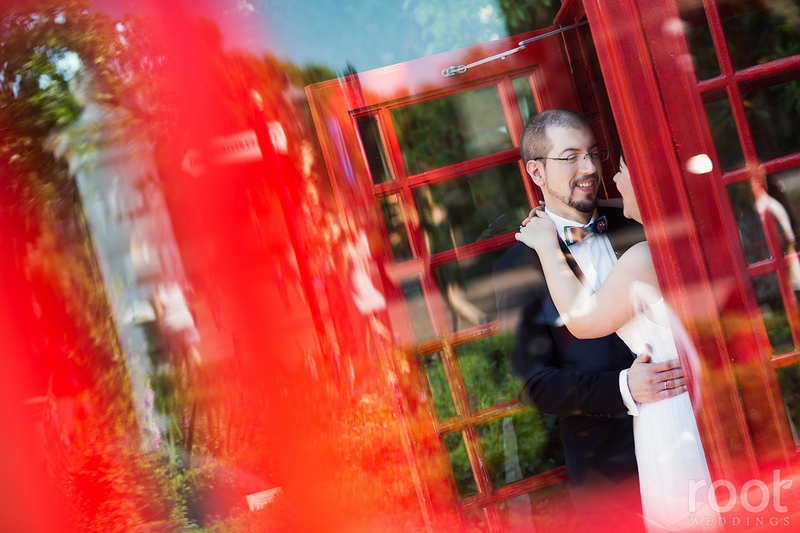 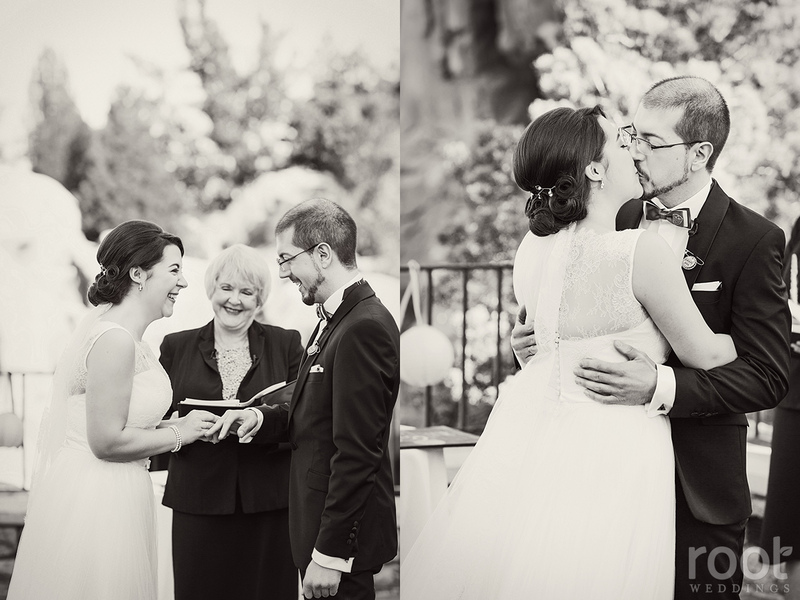 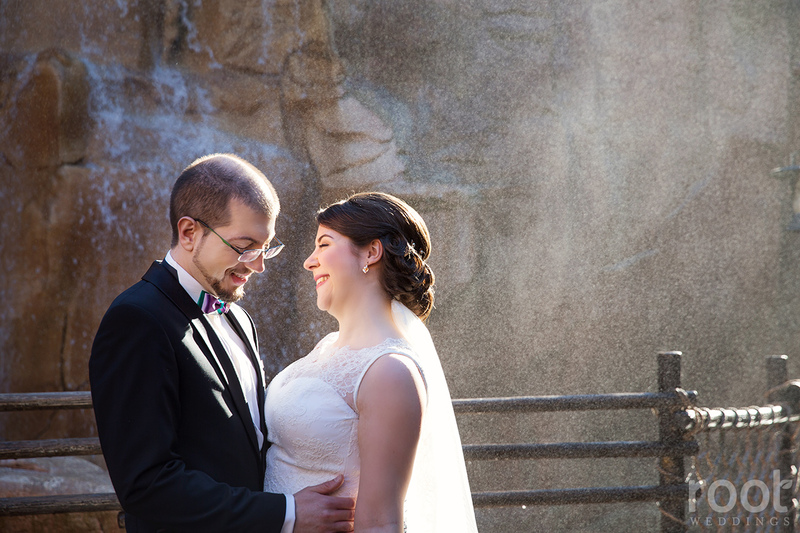 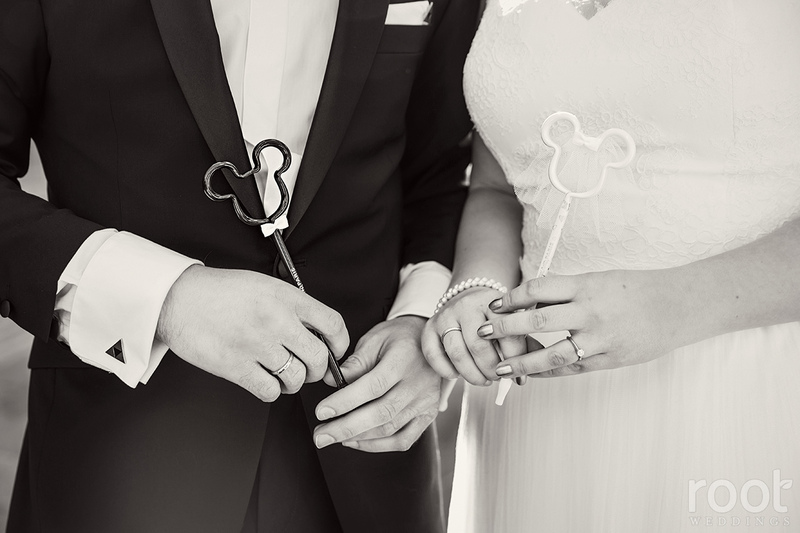 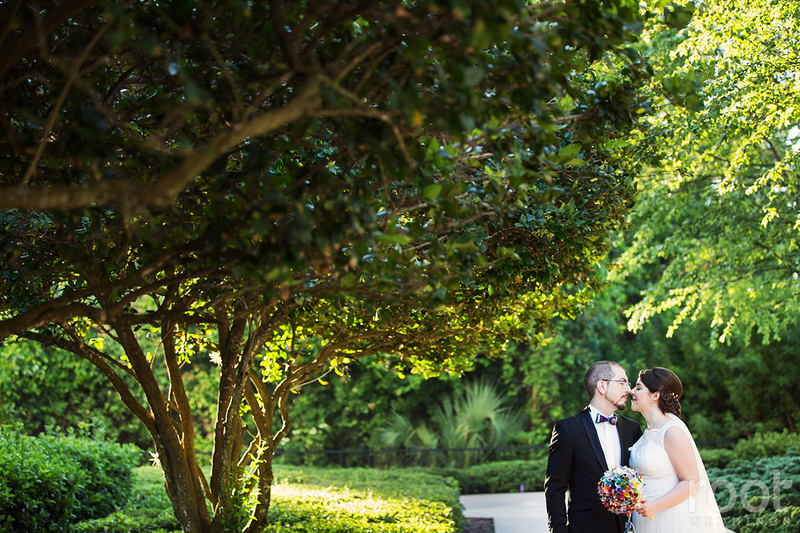 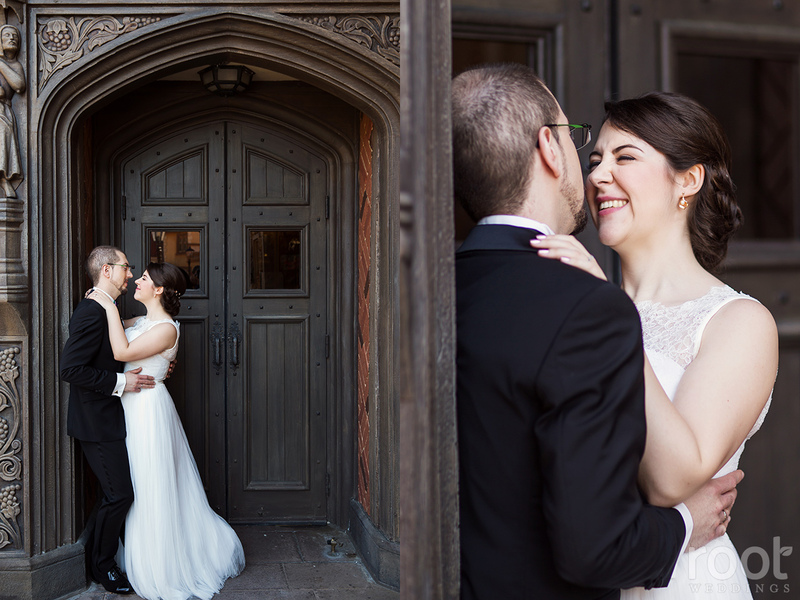 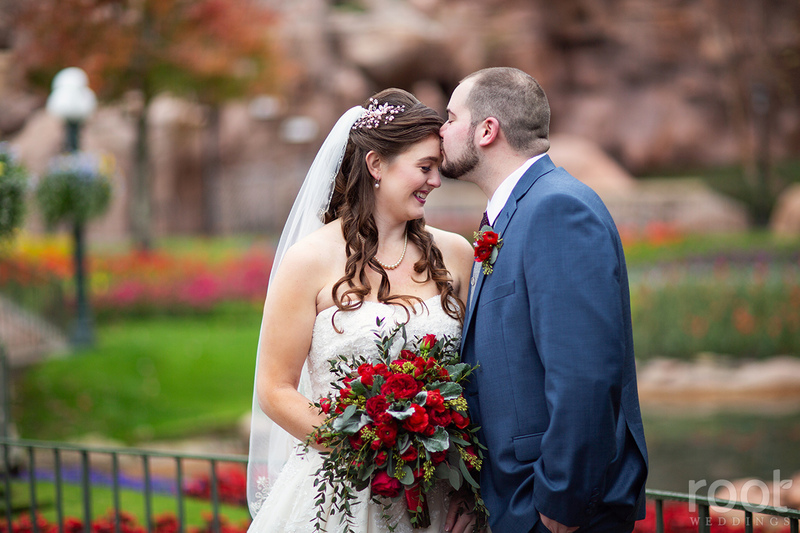 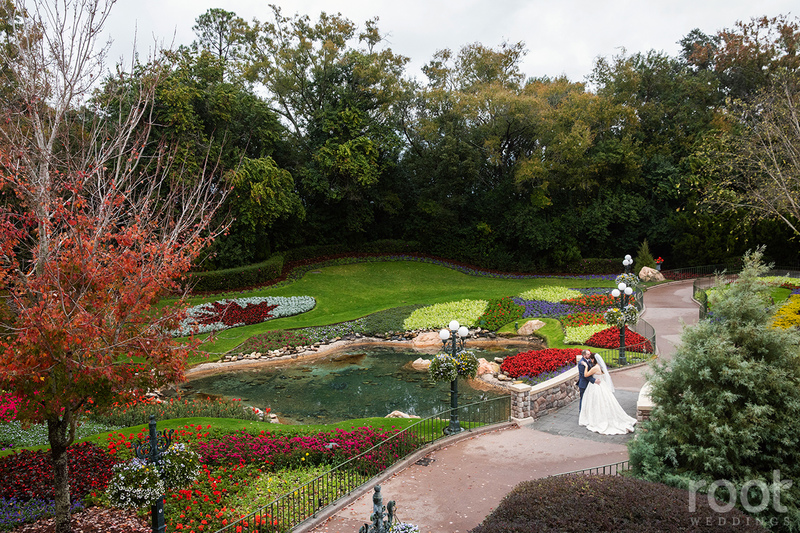 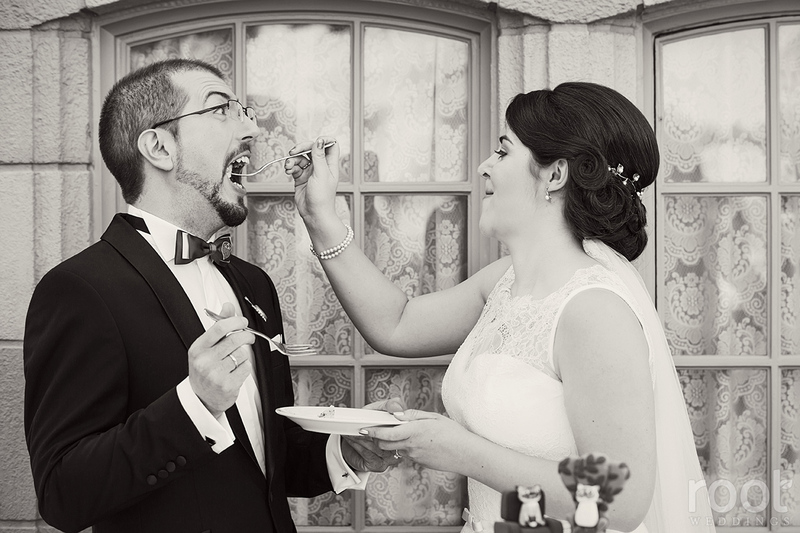 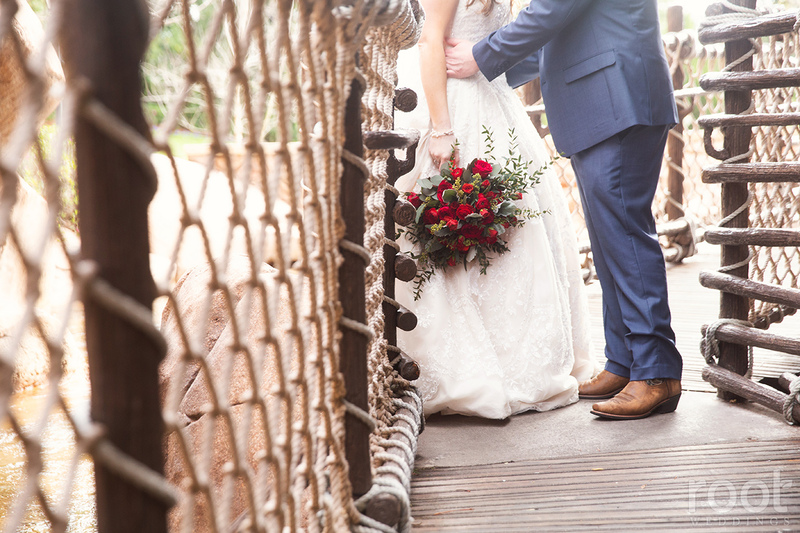 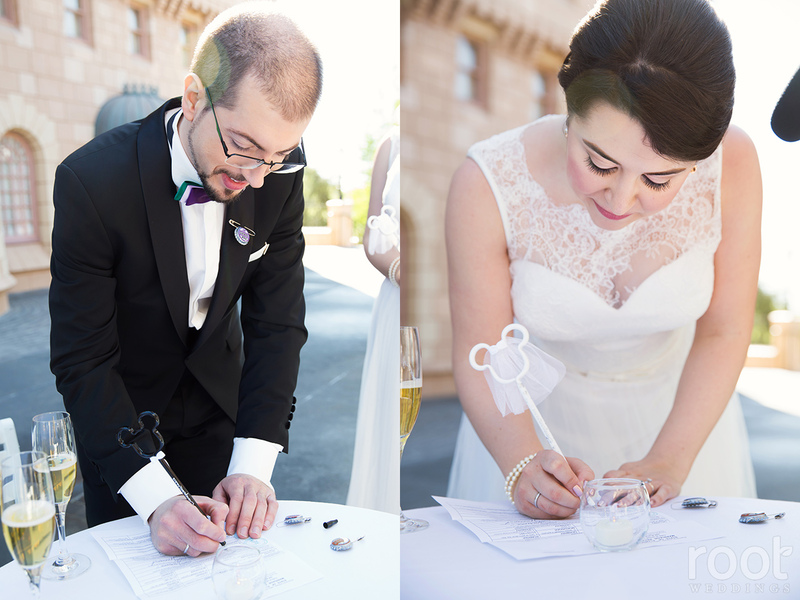 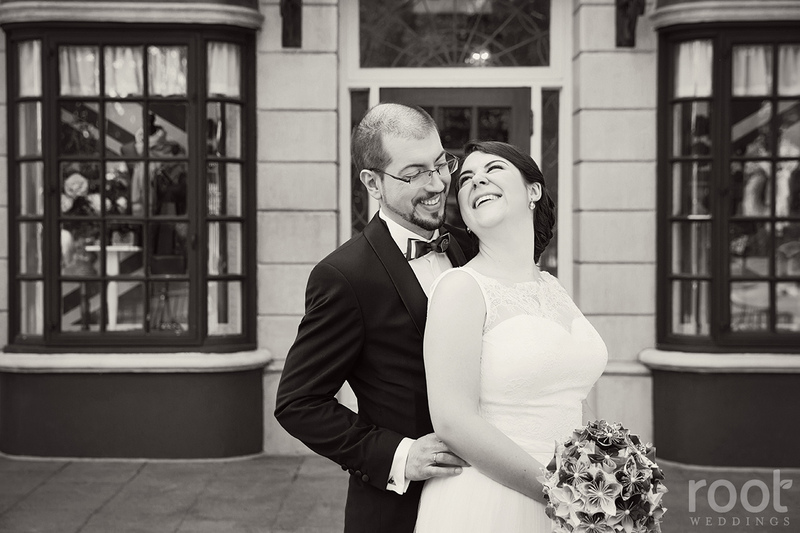 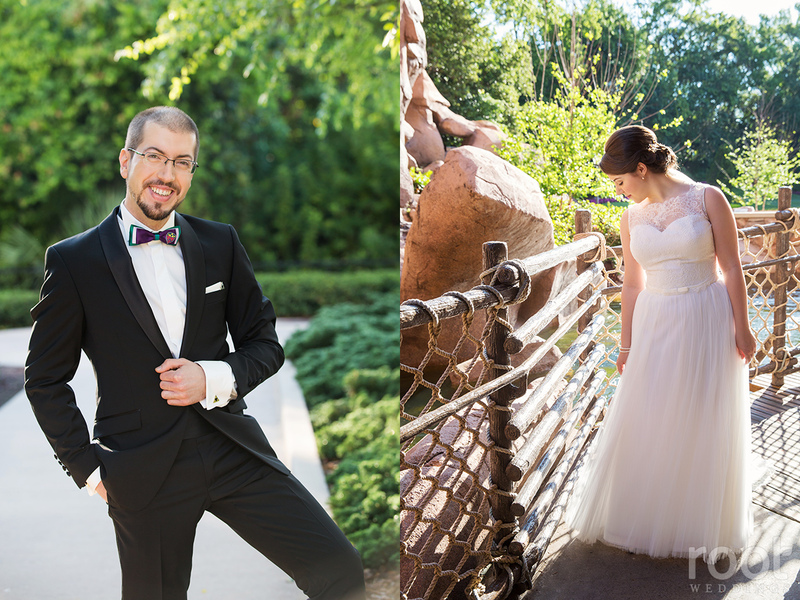 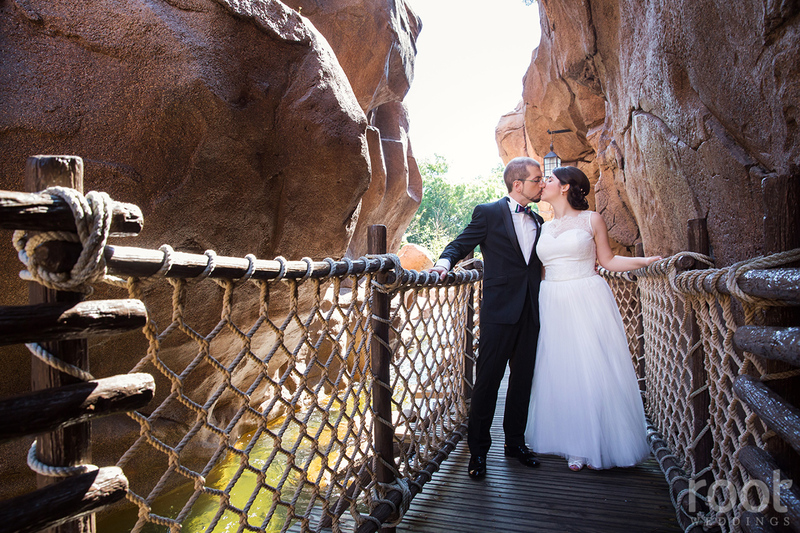 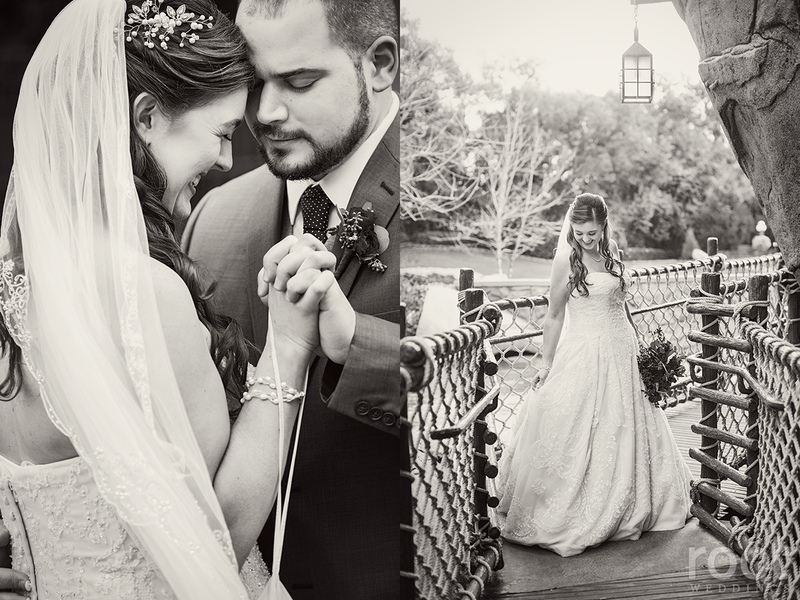 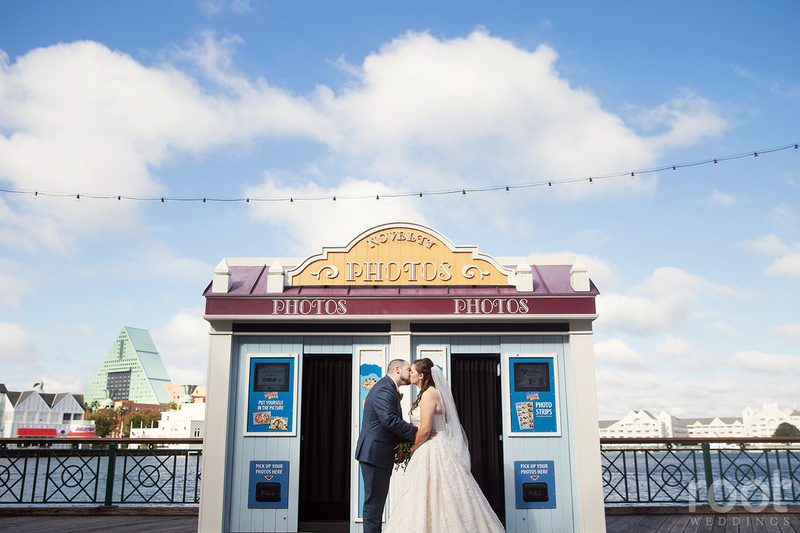 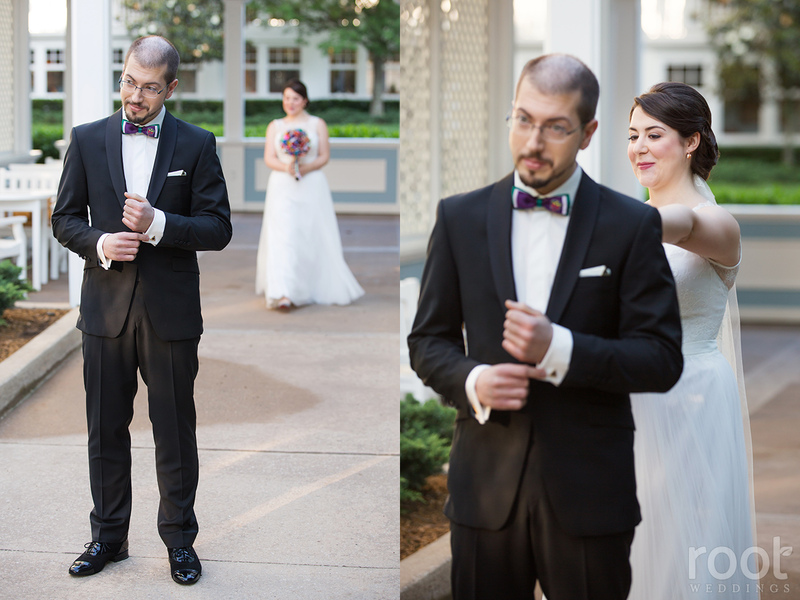 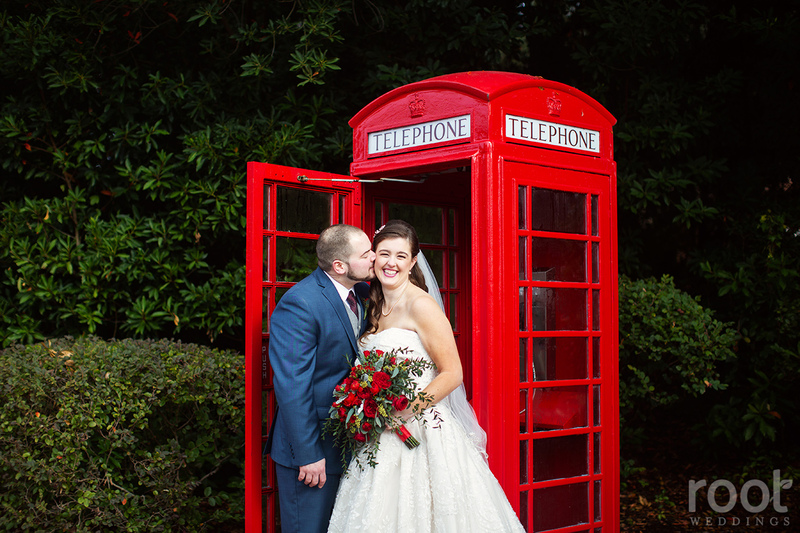 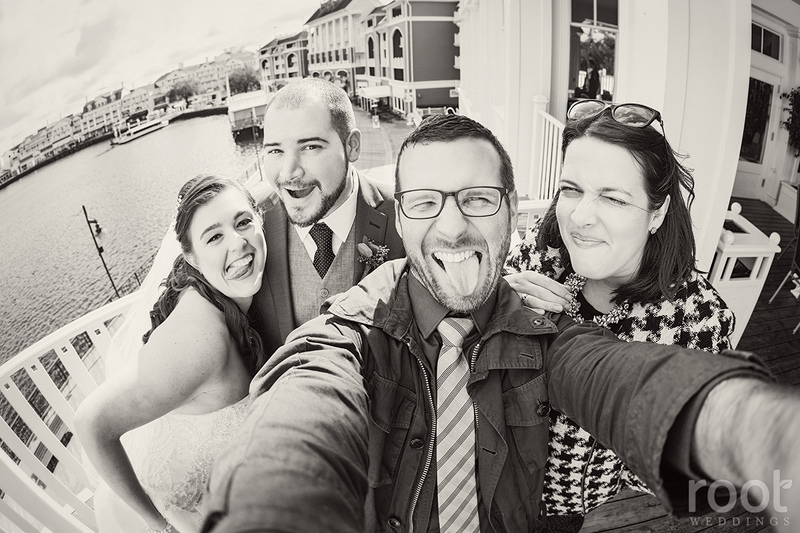 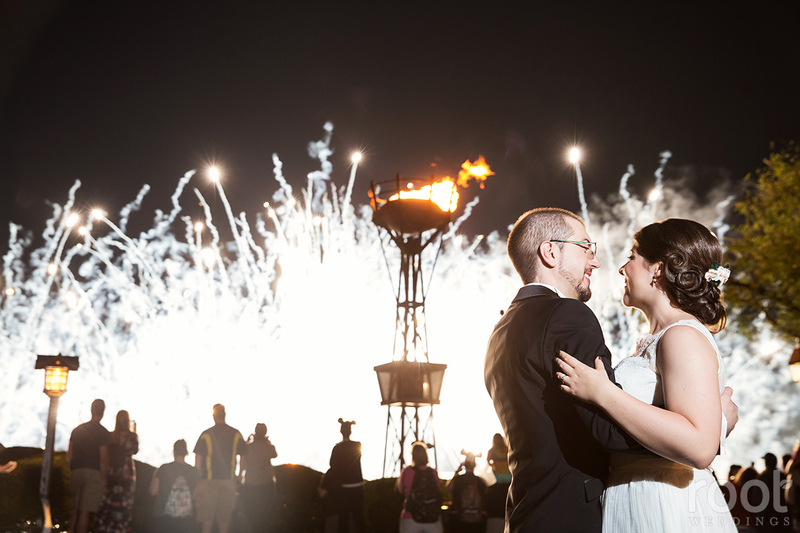 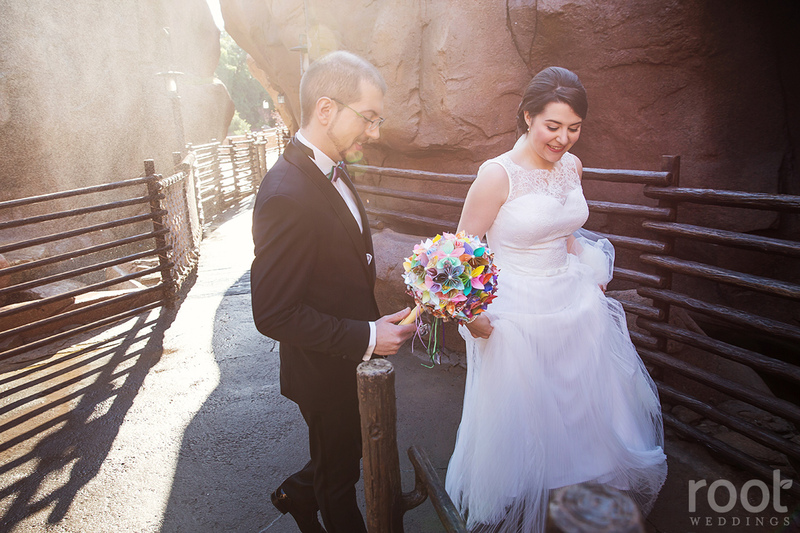 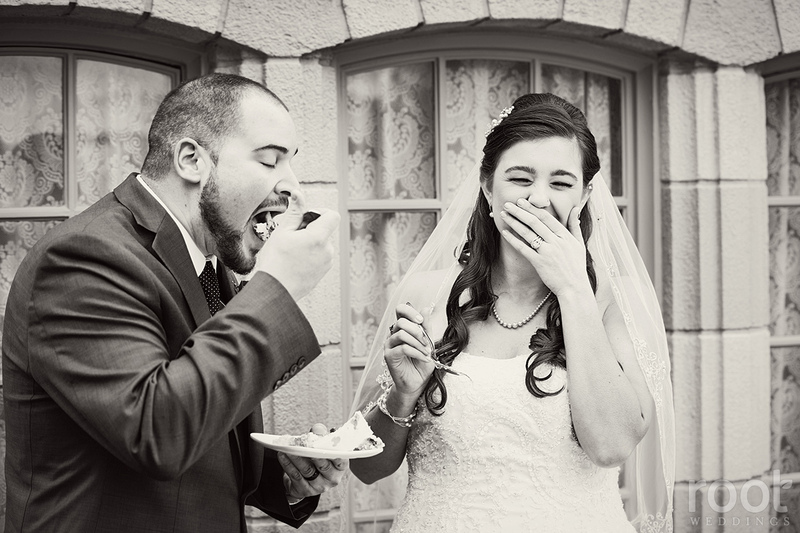 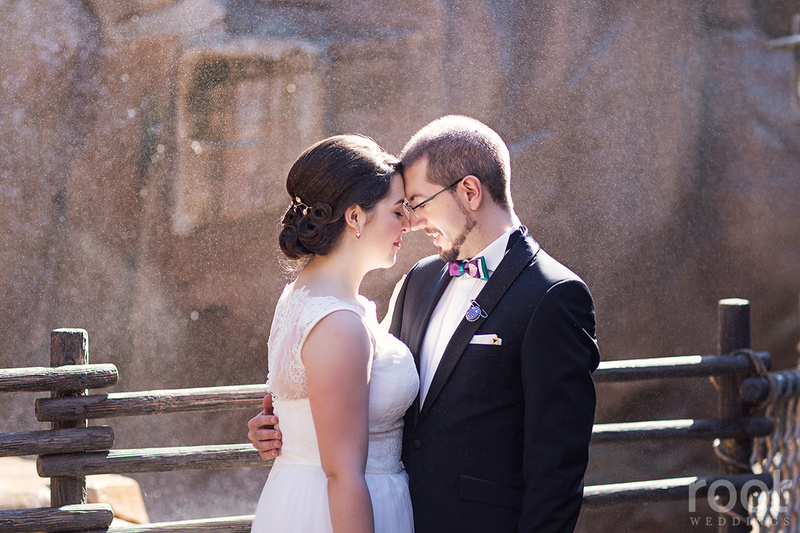 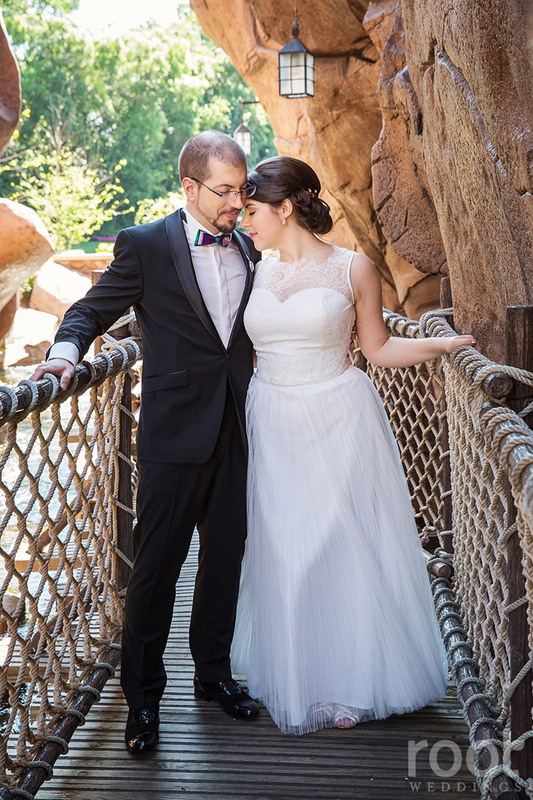 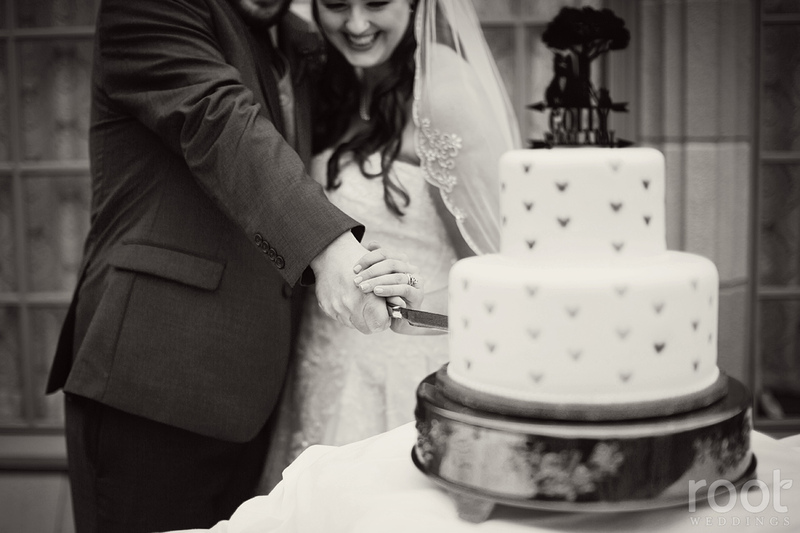 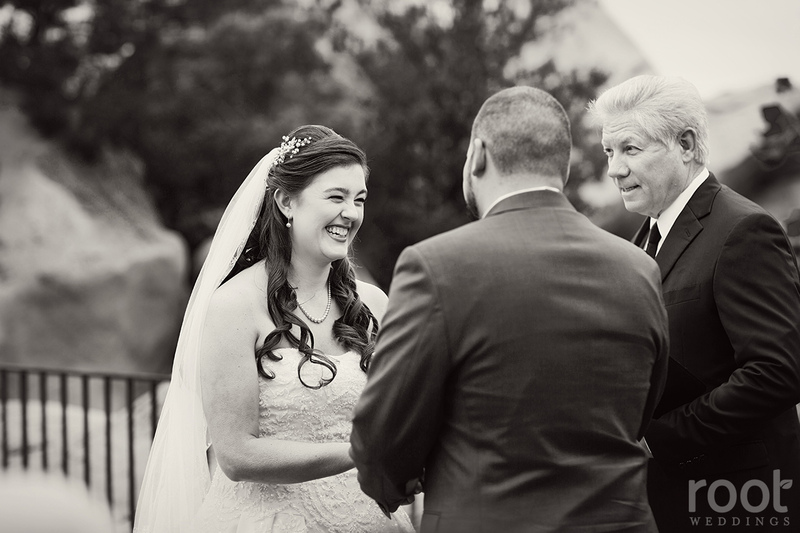 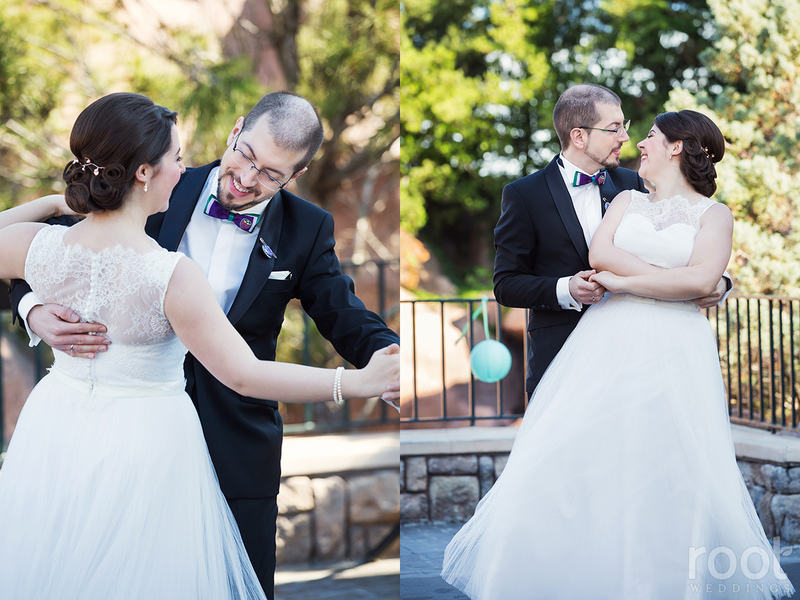 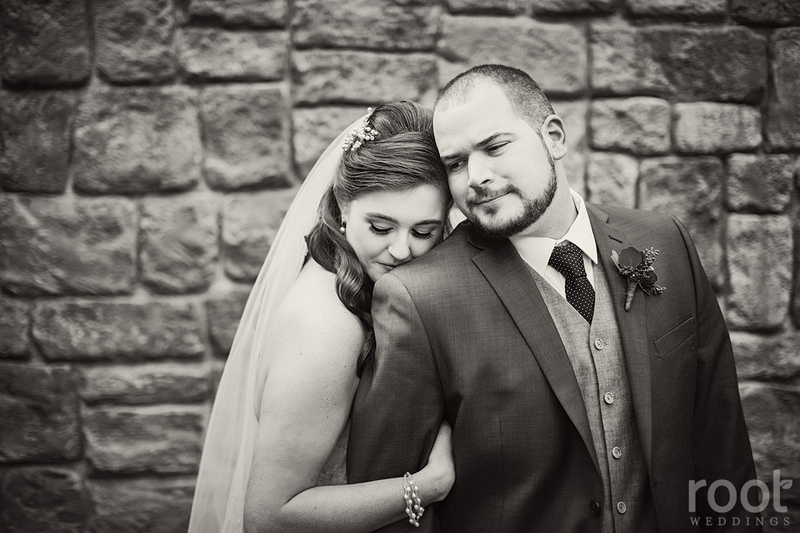 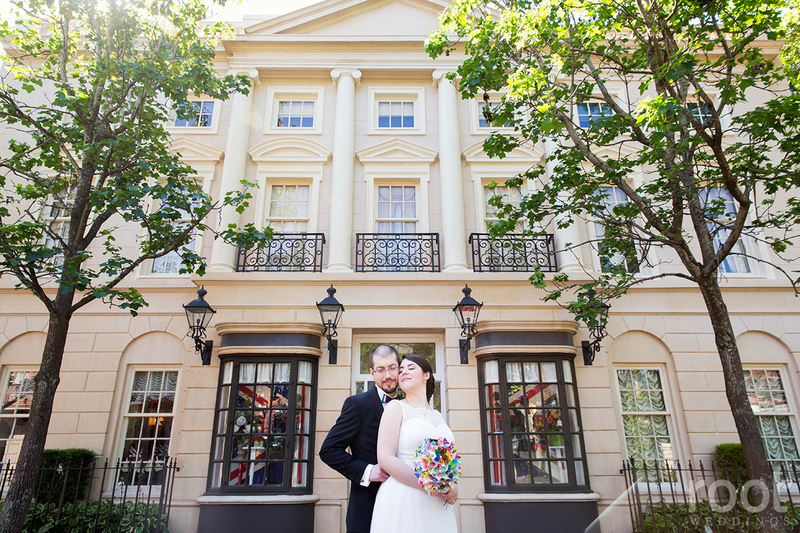 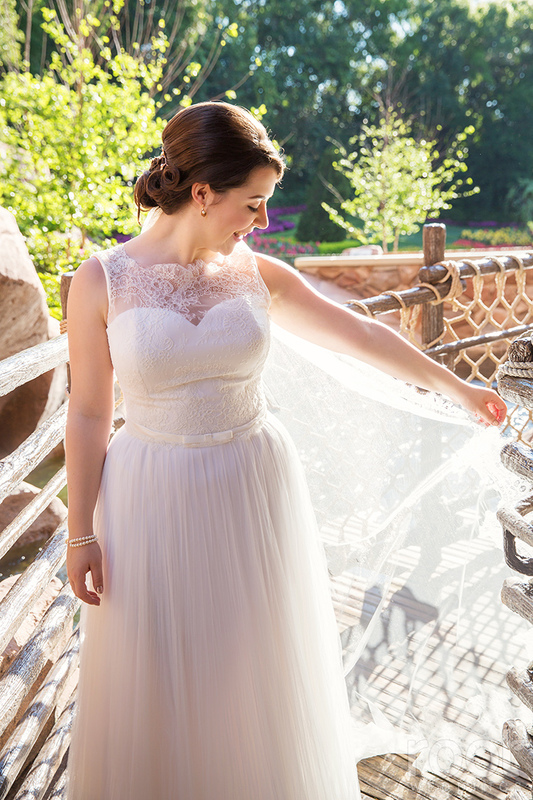 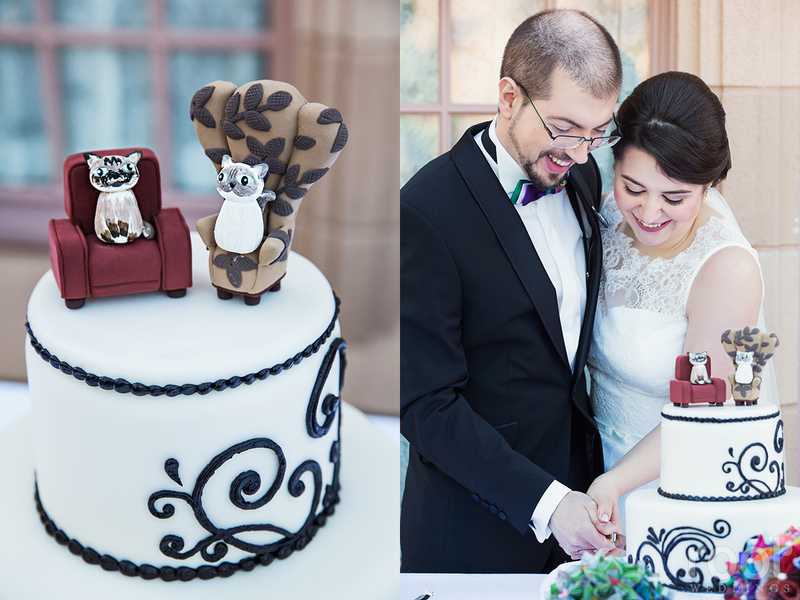 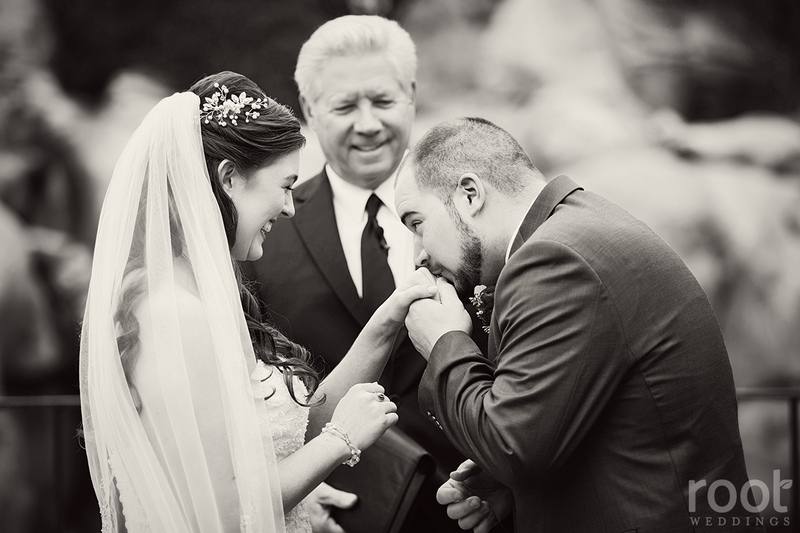 Katharina and Erhard came all the way from Germany for their Epcot Canada wedding! 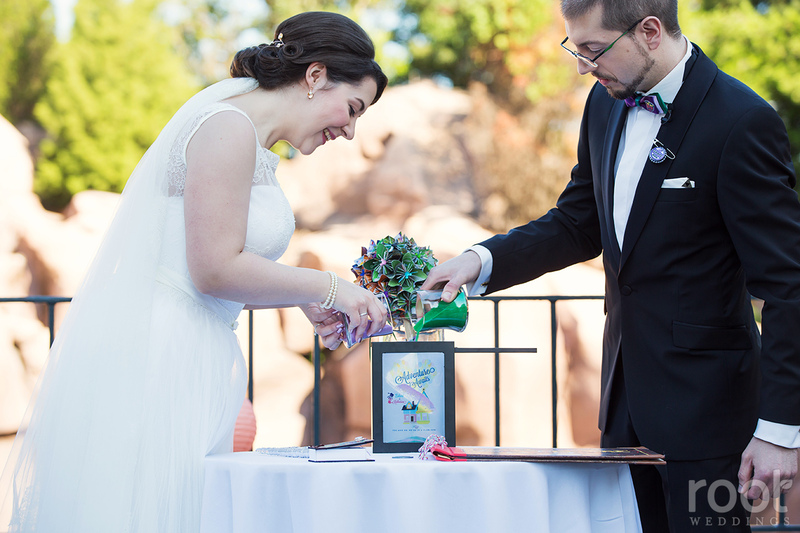 Two of the sweetest people we’ve met, on their engagement session they brought two mugs Katharina made for us inspired by Carl and Ellie’s mailbox. 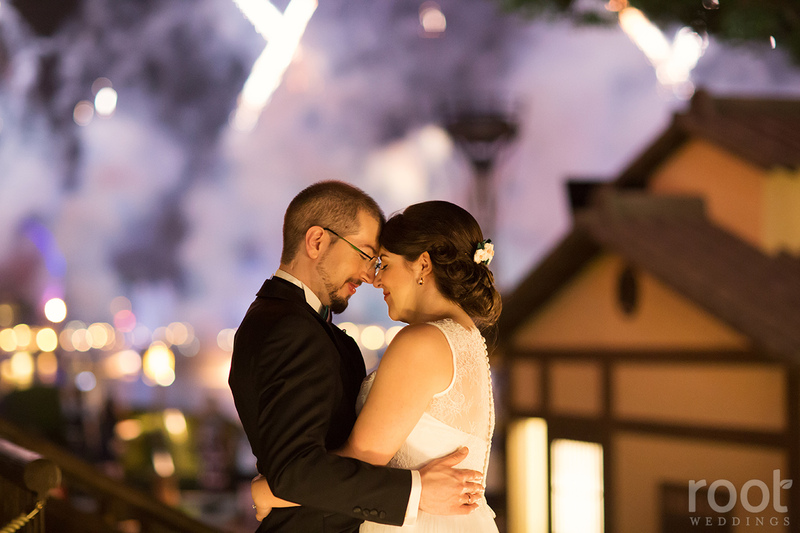 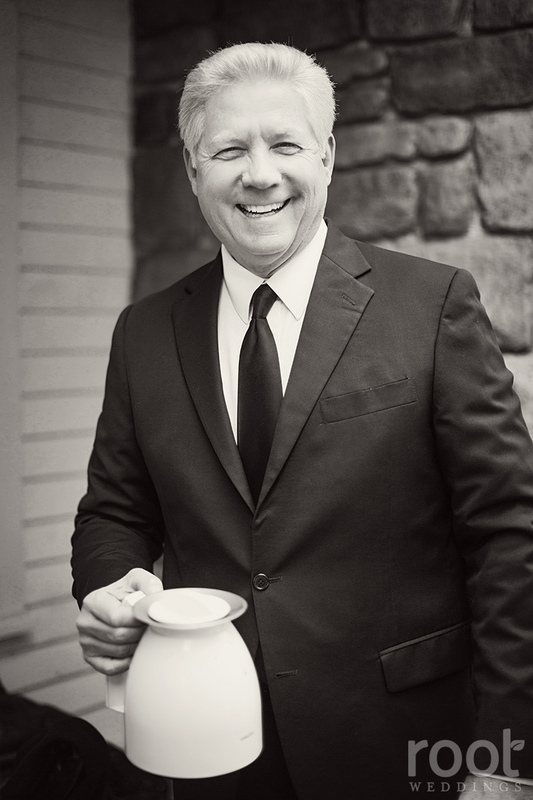 On their wedding day, they hand wrote thank you notes to each vendor, and sent us home with two huge beer steins filled with German candy. 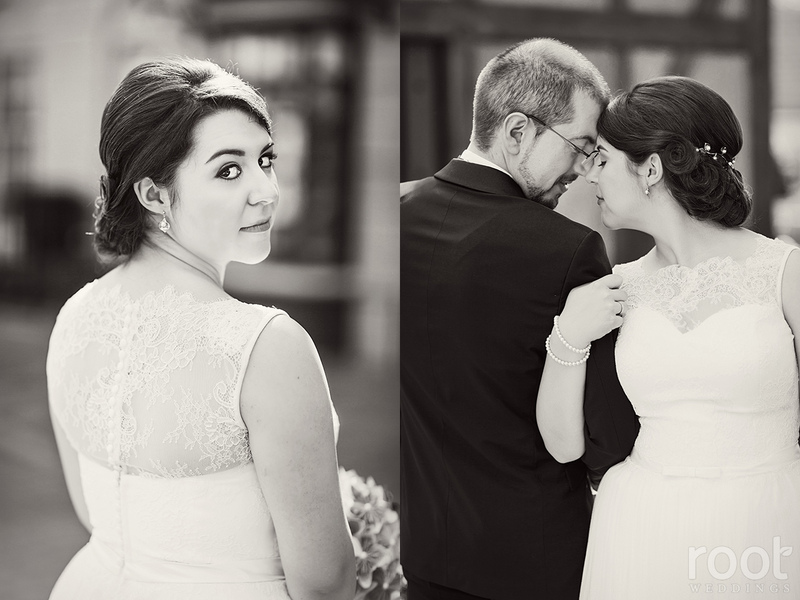 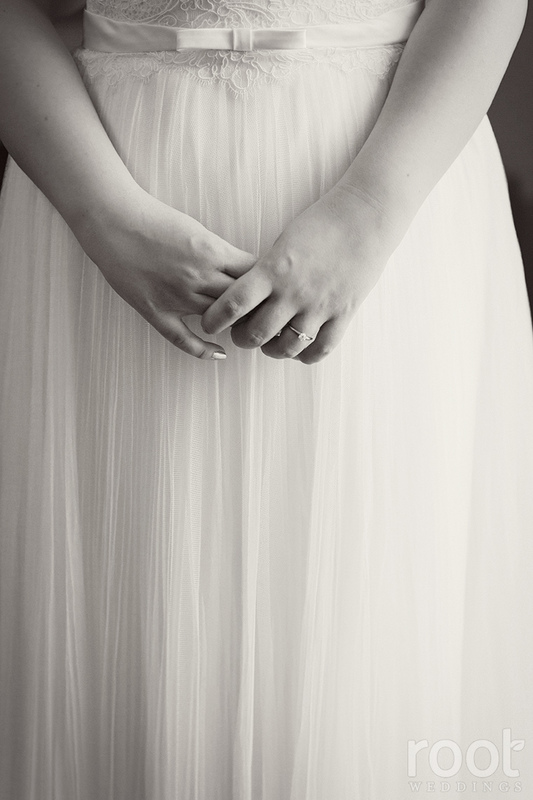 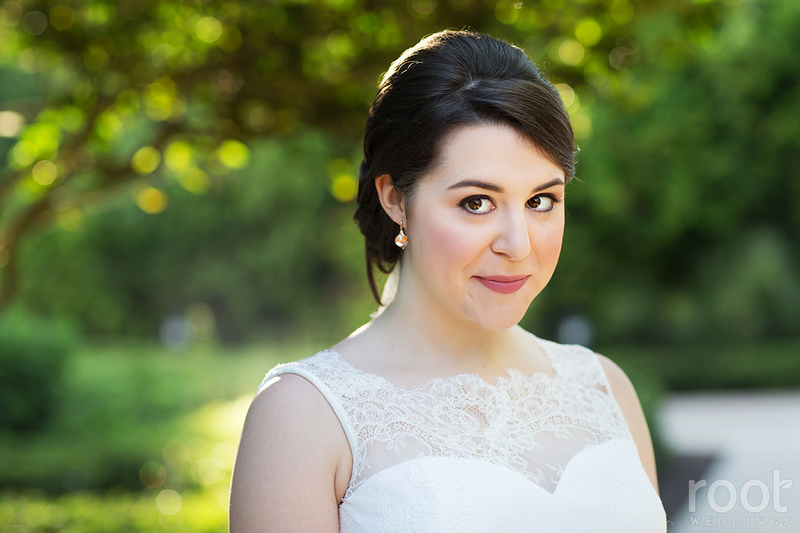 Even on her wedding day, Katharina was thinking of everyone around her, and it’s so easy to see why Erhard fell in love with her. 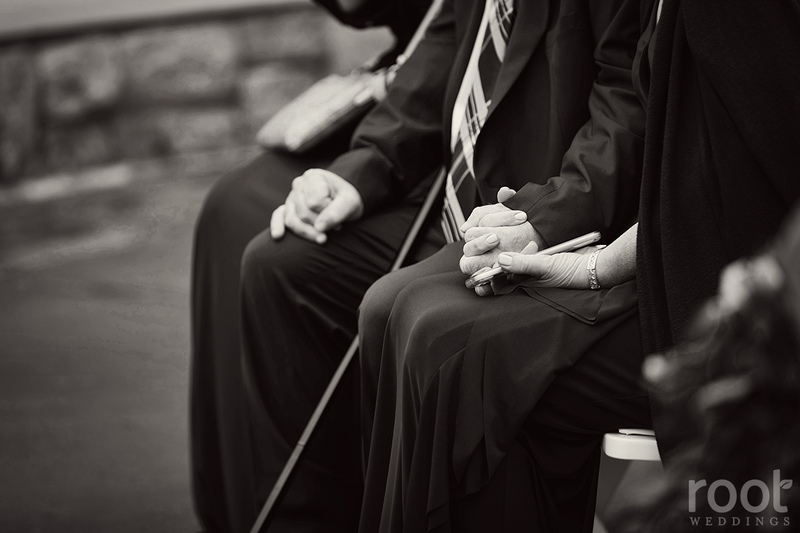 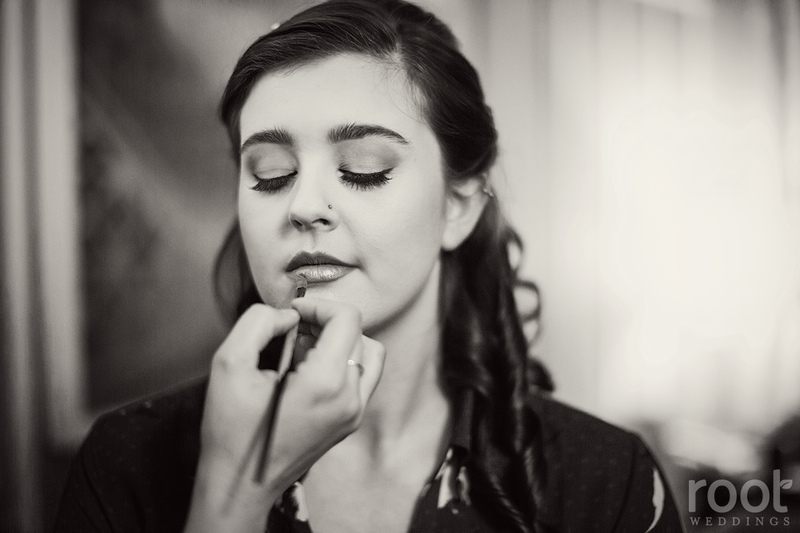 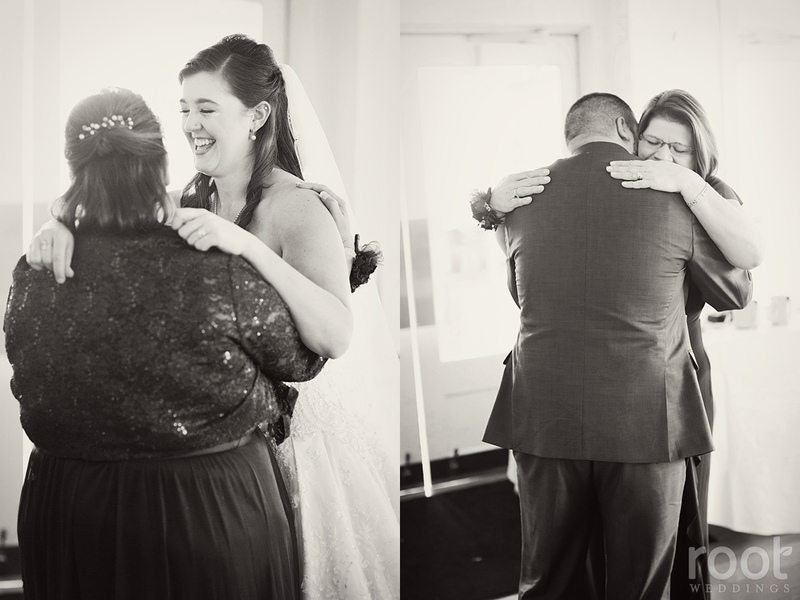 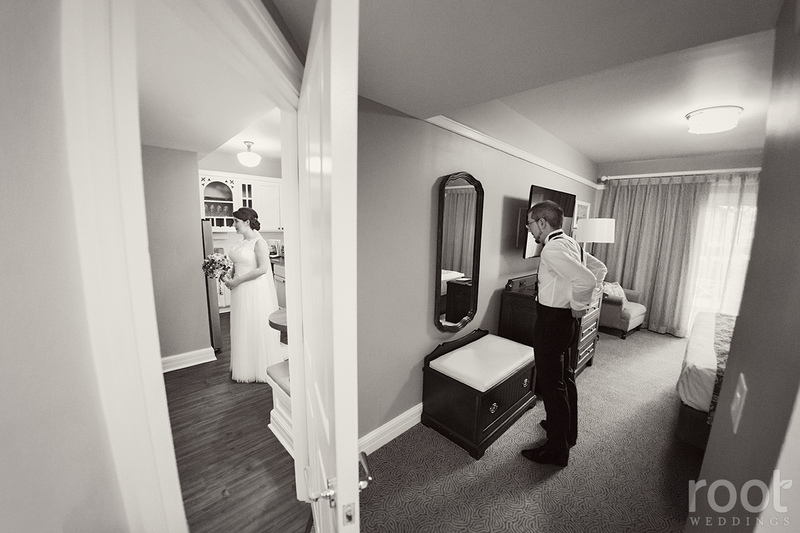 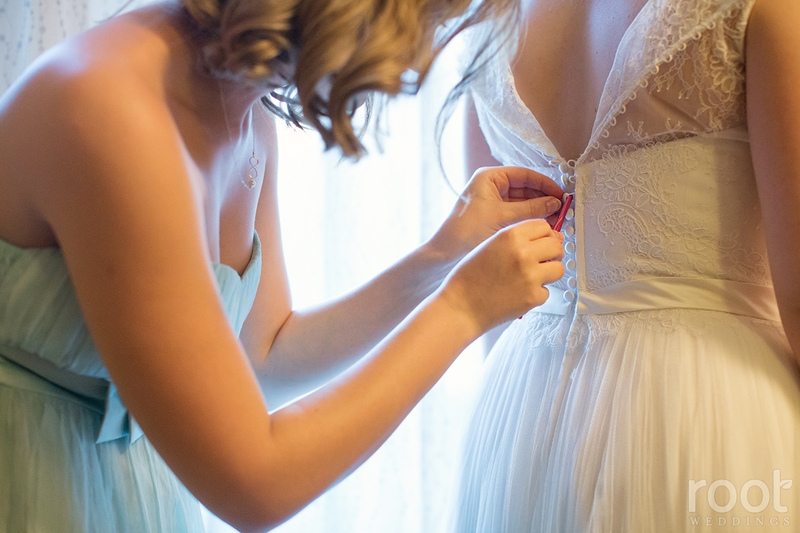 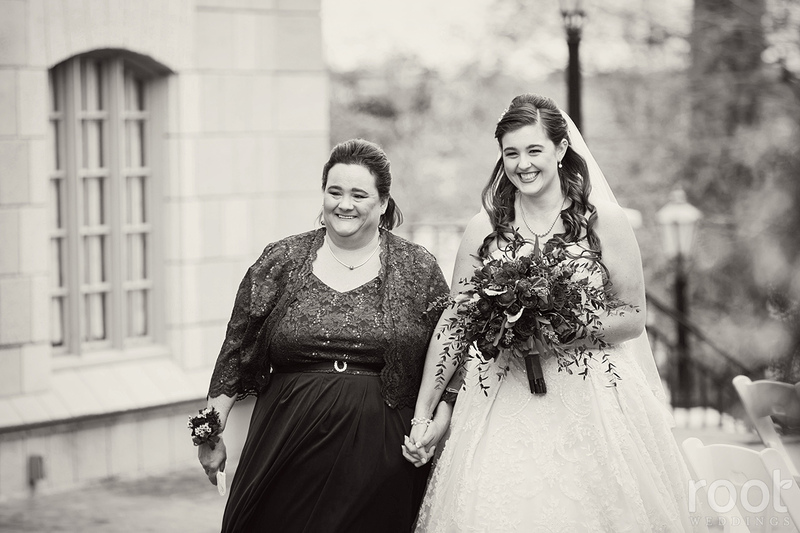 Their wedding day was so sweet and intimate, the only guest in attendance was their best friend, Jenny. 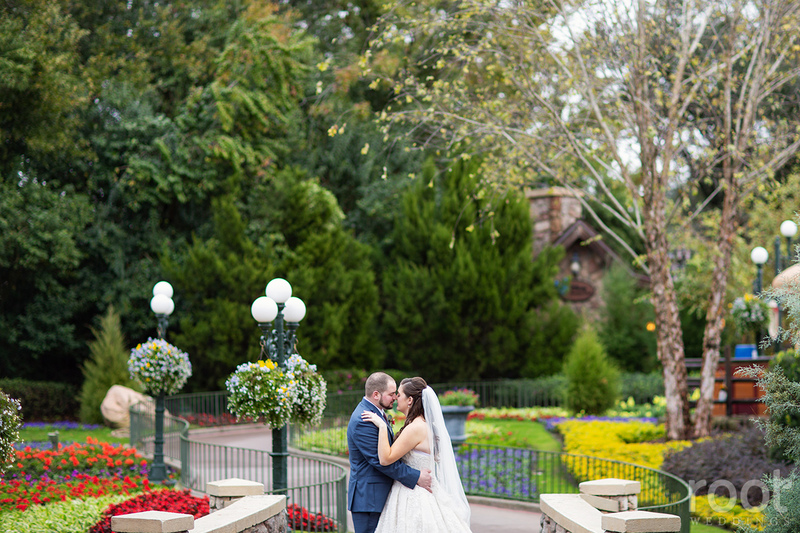 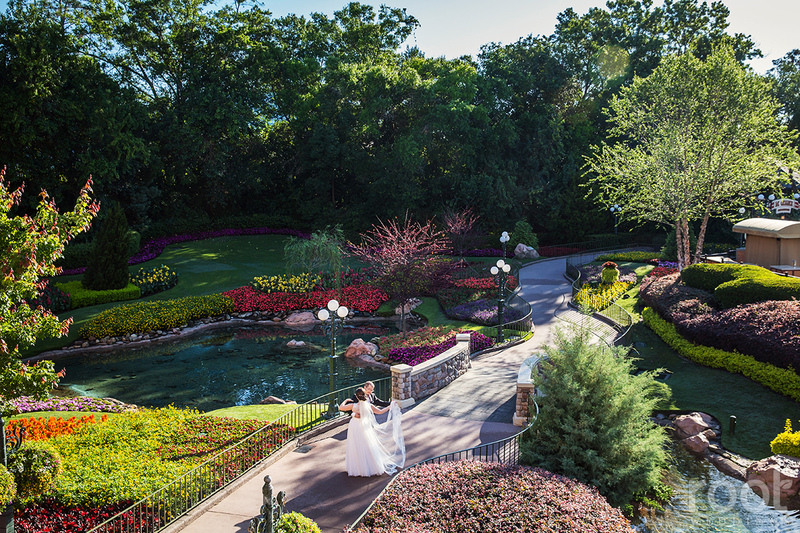 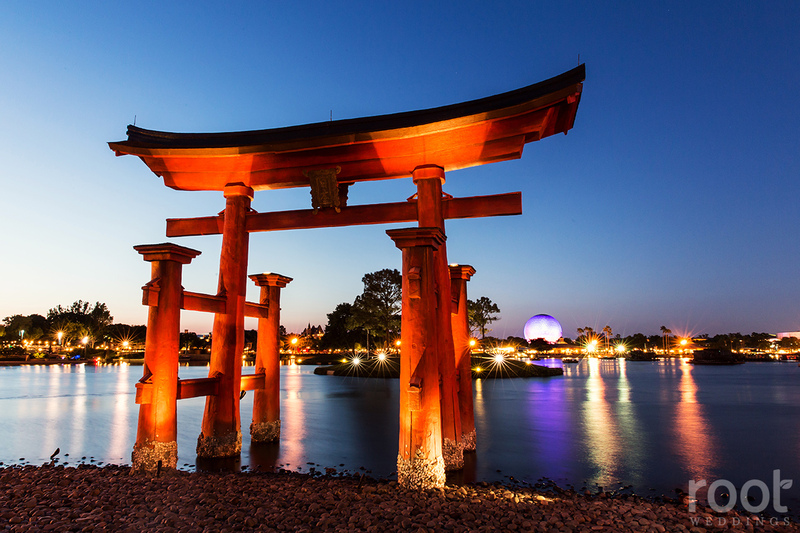 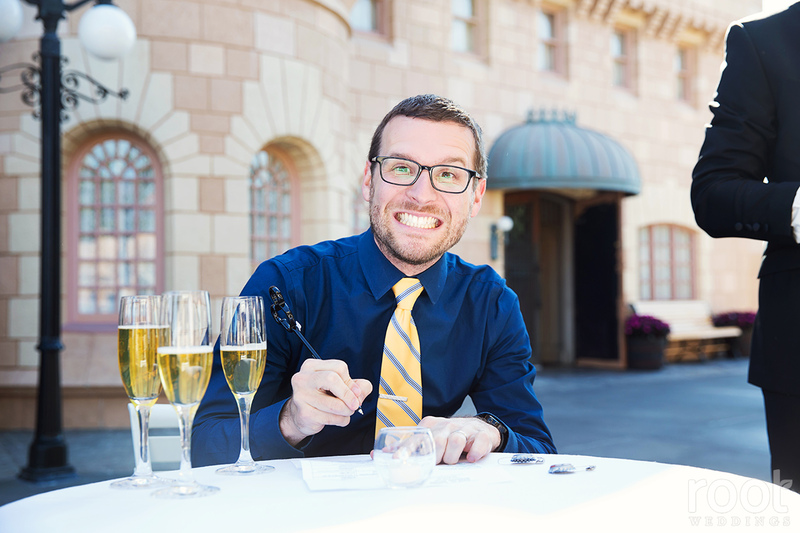 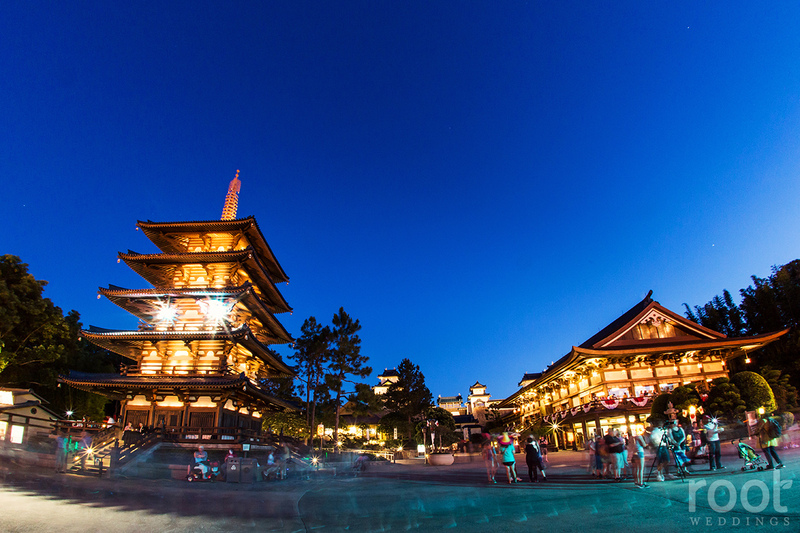 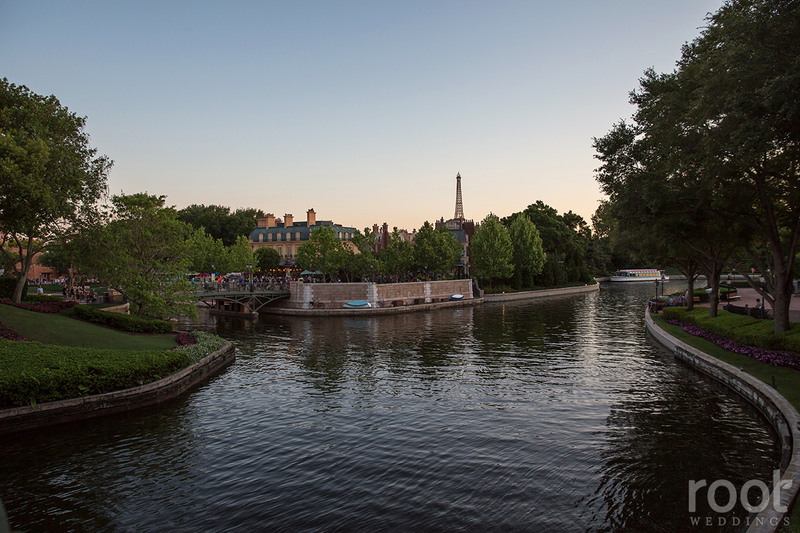 Epcot weddings are always super special… There’s nothing like an empty park to yourself to amplify the adrenaline for your wedding! 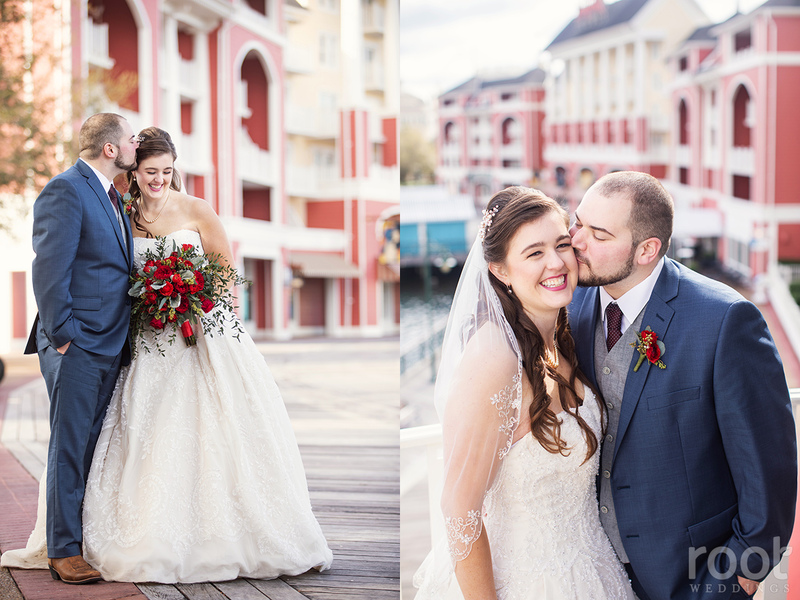 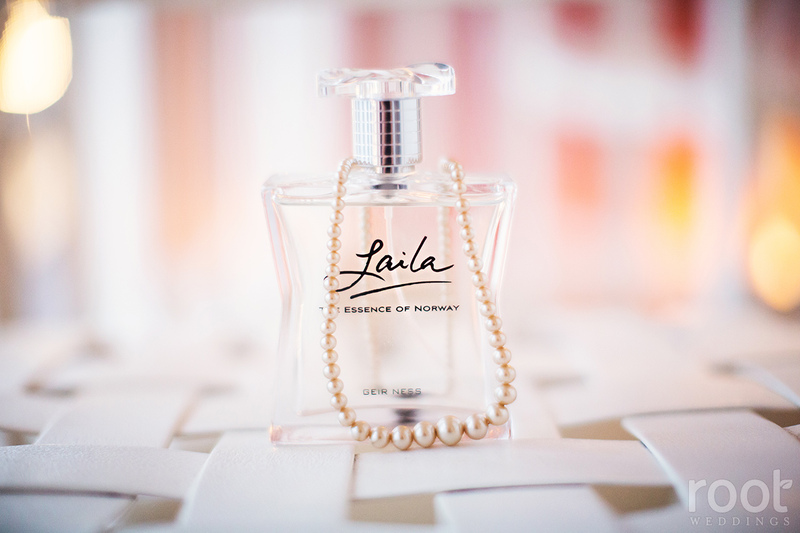 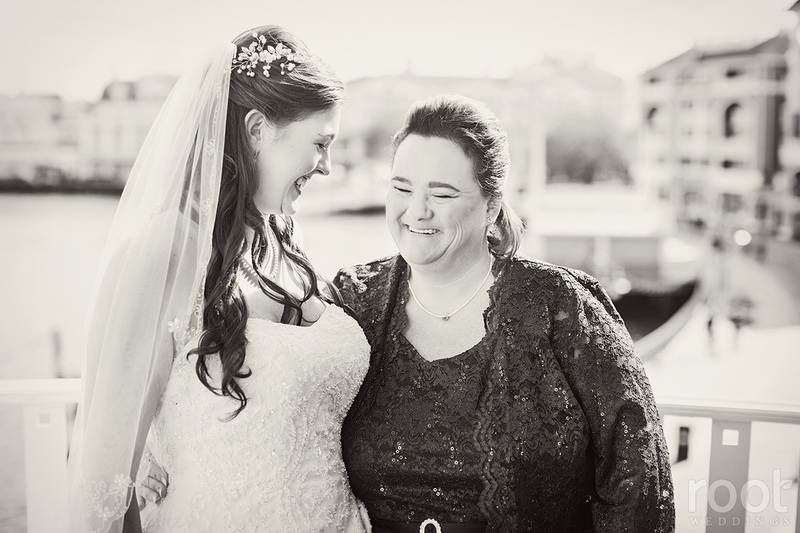 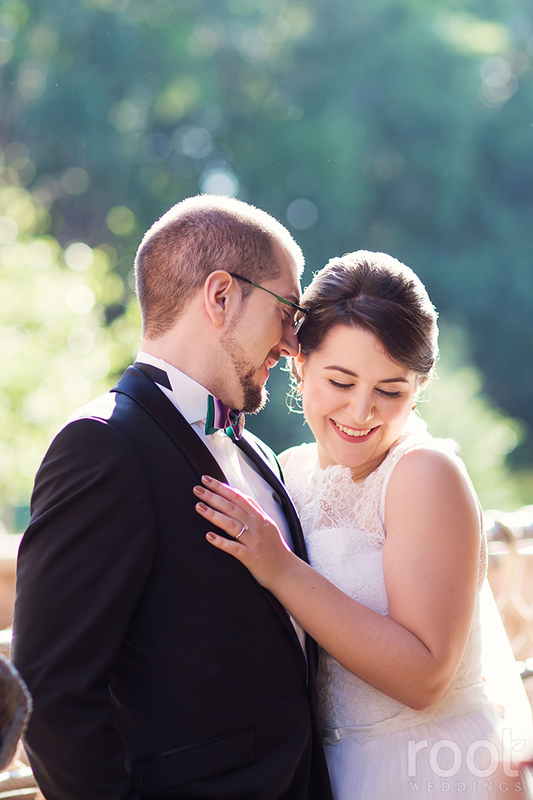 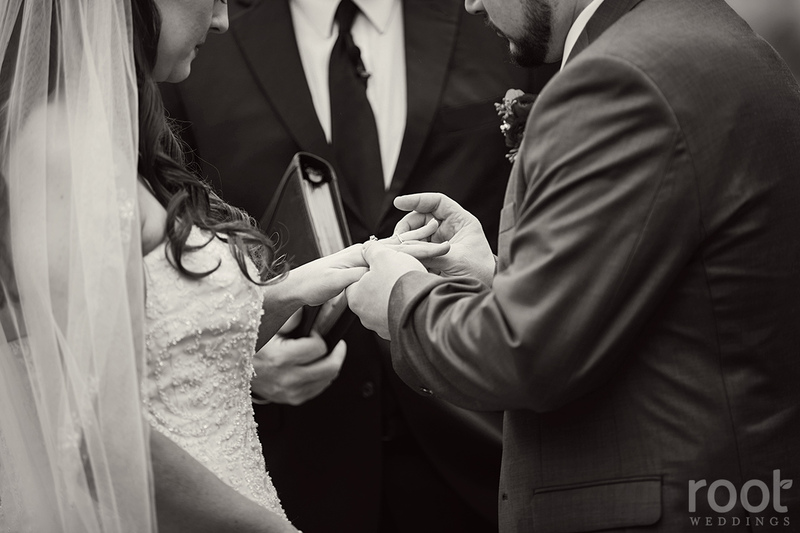 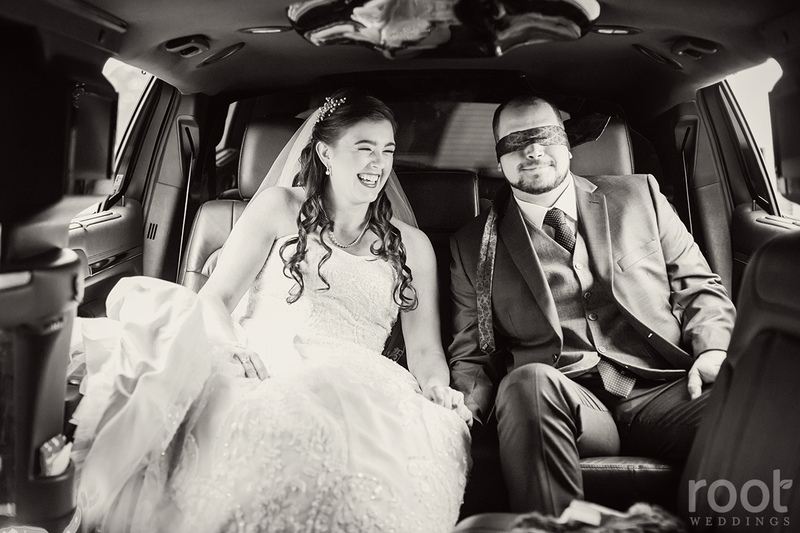 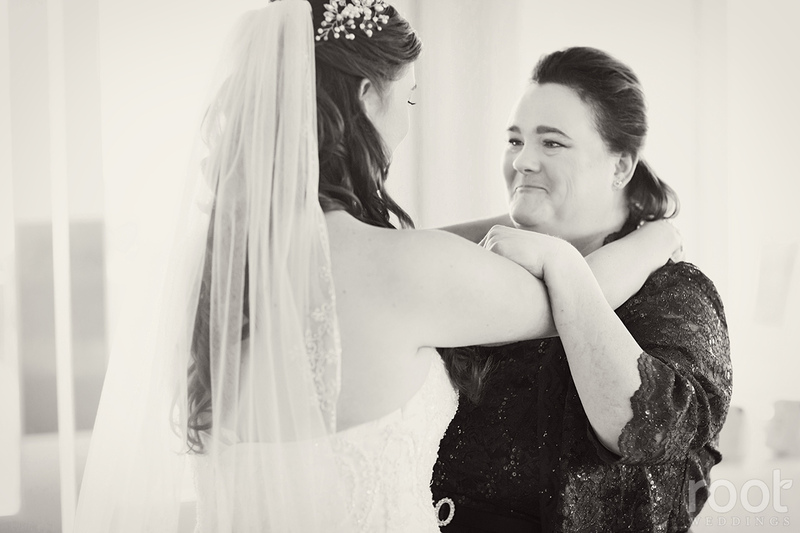 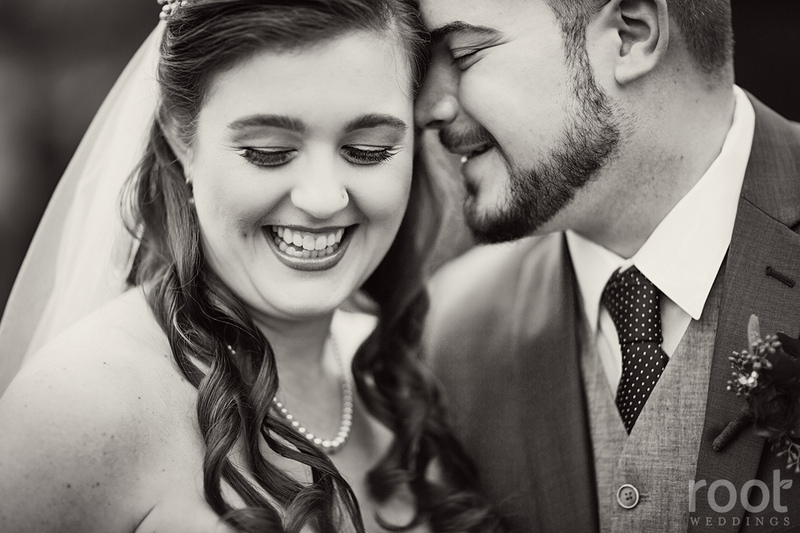 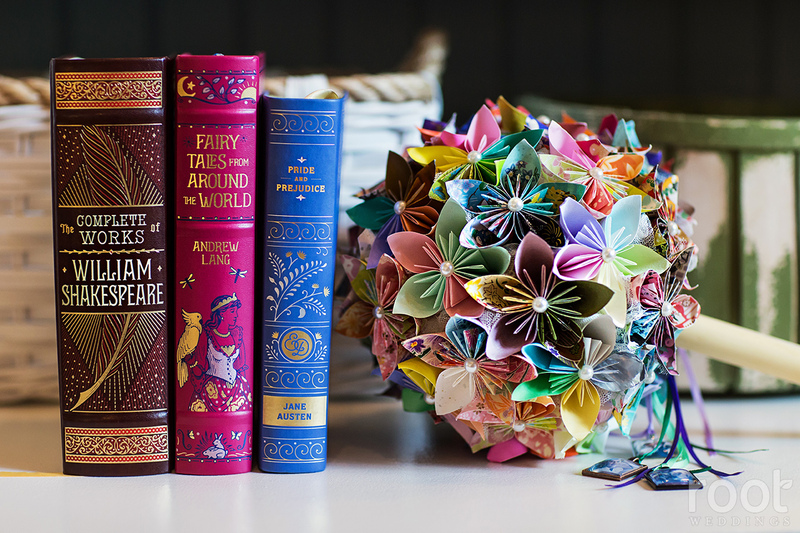 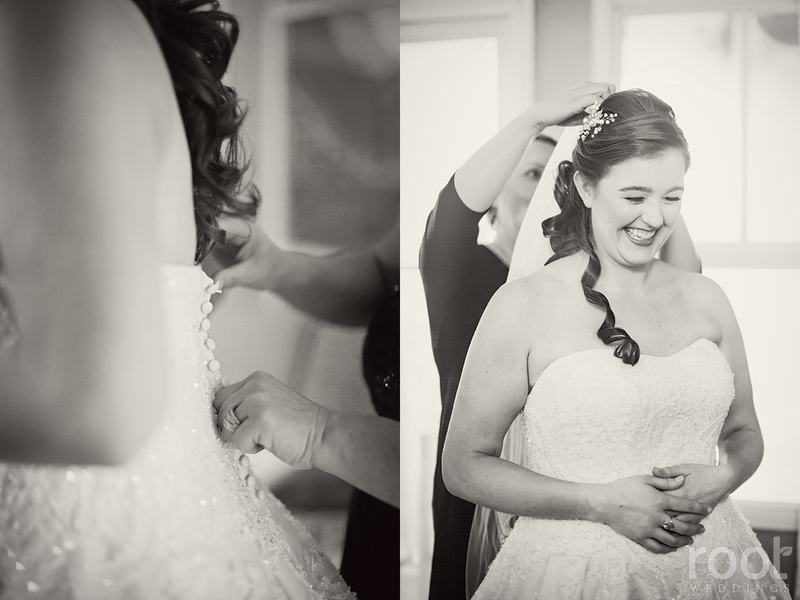 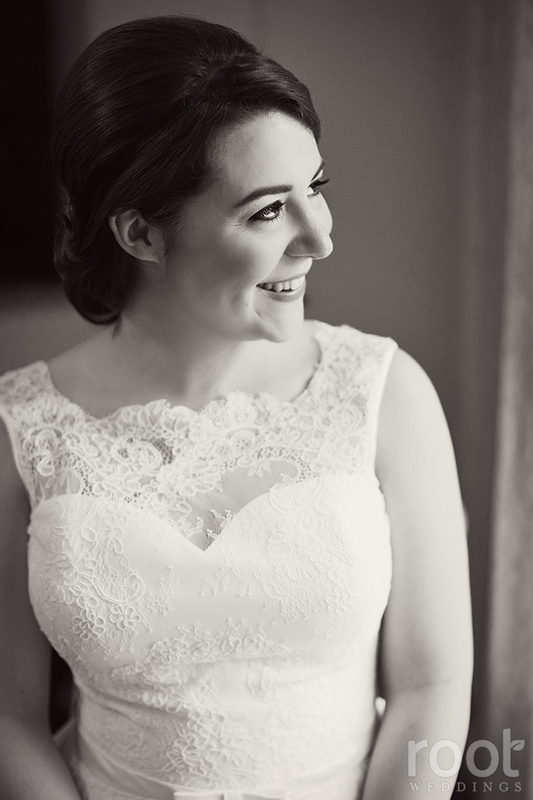 Every detail of their day was so thought out and perfectly executed, from Katharina’s bouquet she handmade herself to the tear-inducing “Ellie badge” moment during the ceremony, to their first dance. 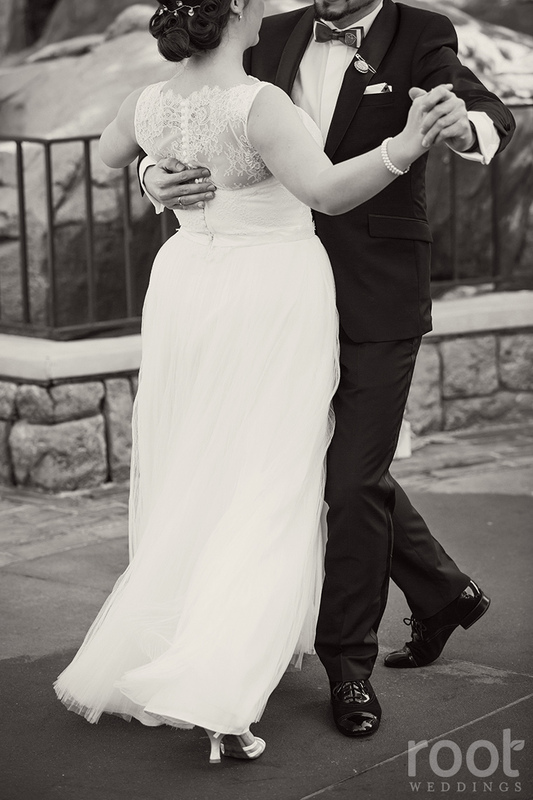 Did I mention these two would give the pros from “Dancing with the Stars” a run for their money?! 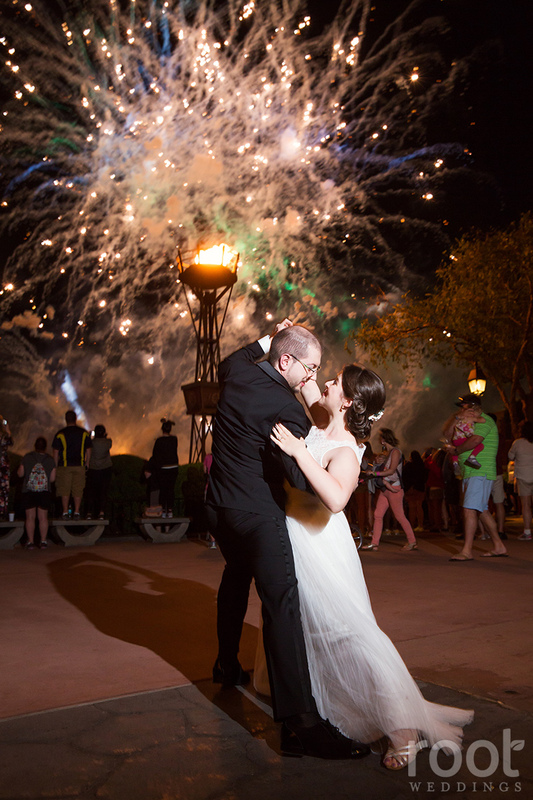 I think my favorite moment was at the finale of Illuminations- We’d run them around for different vantage points for the fireworks, when in the last 10 seconds, they spontaneously started dancing and ended in the perfect pose at the final “boom” of the fireworks.